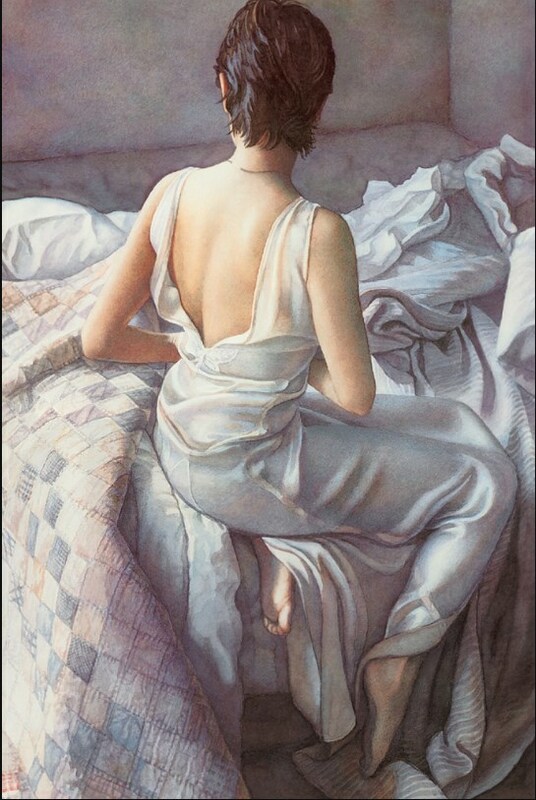 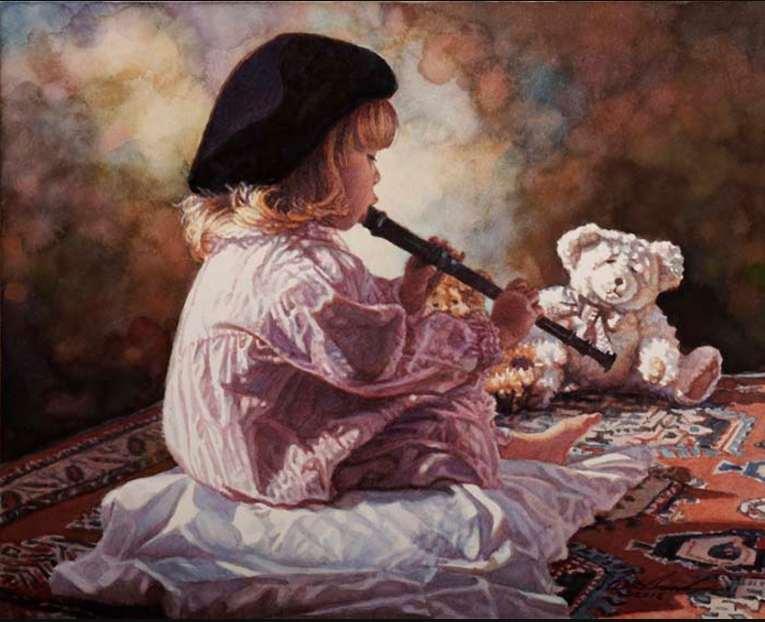 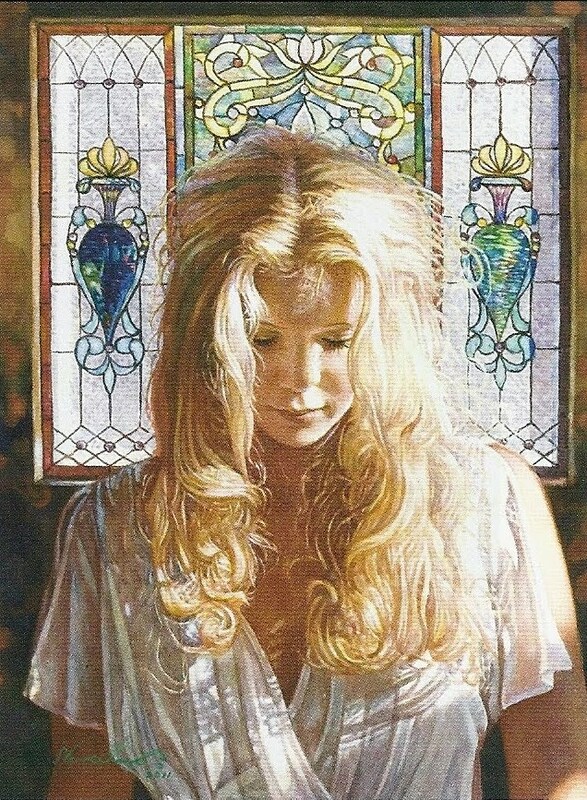 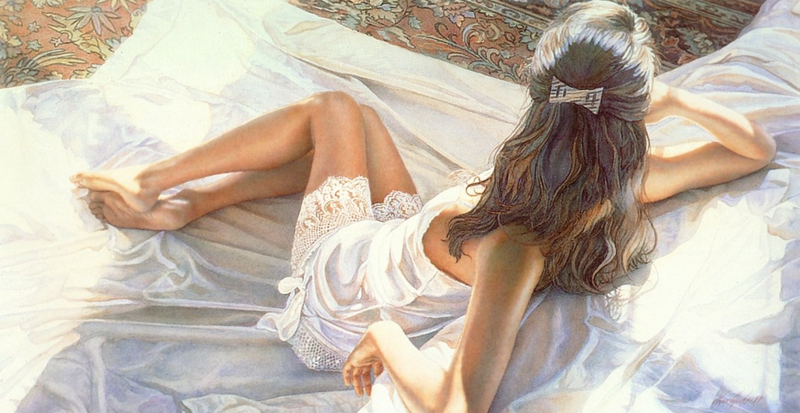 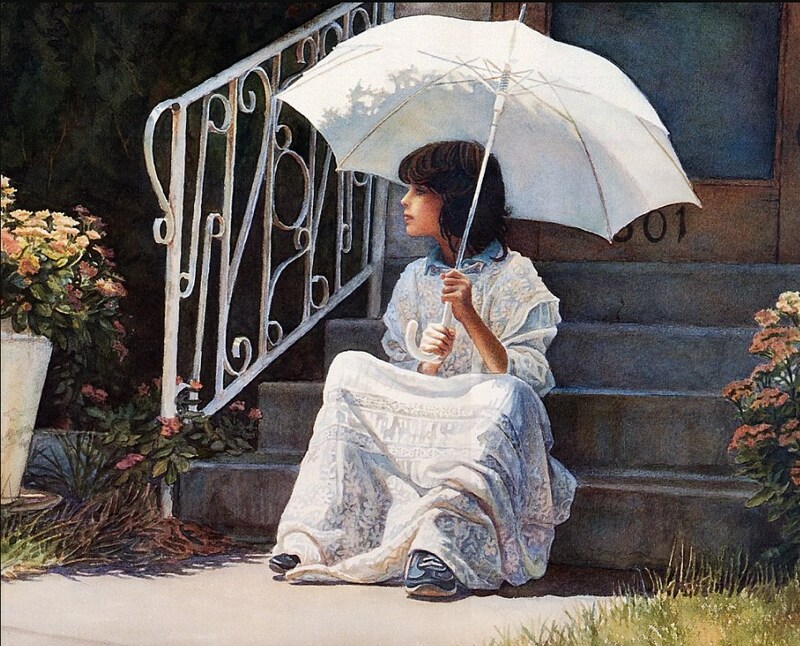 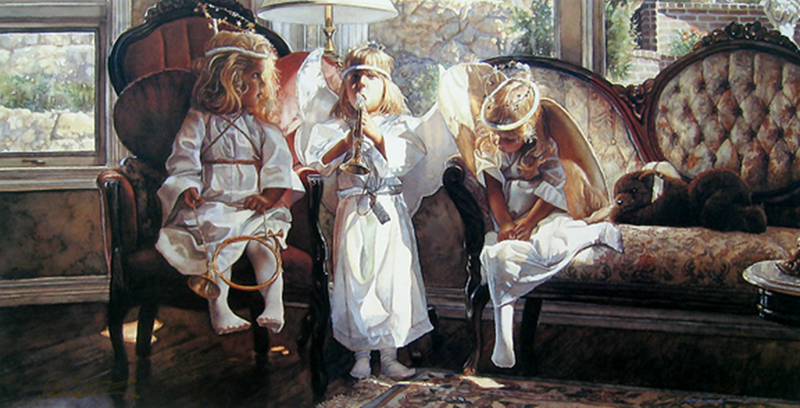 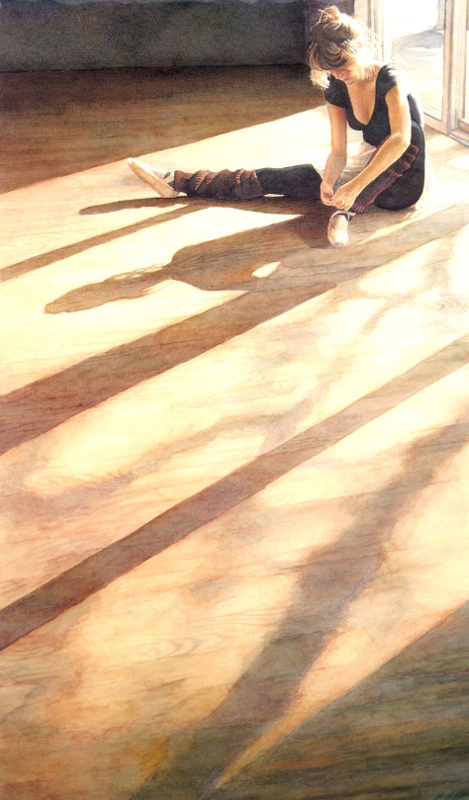 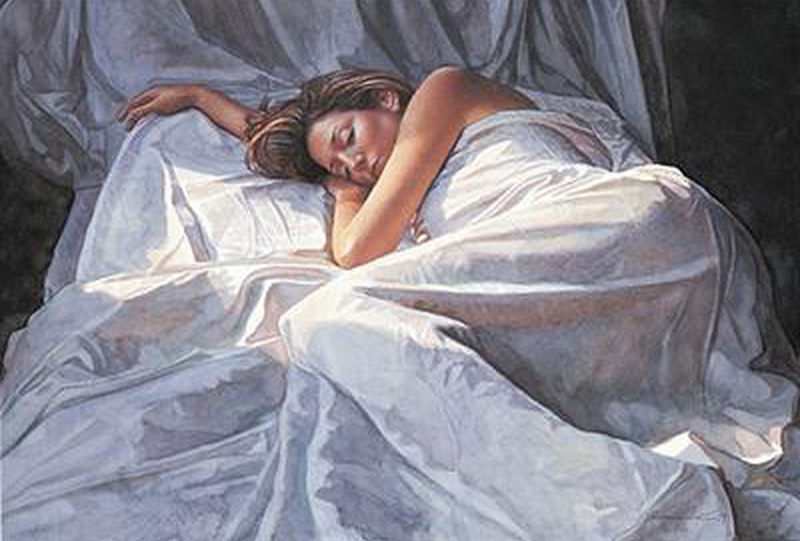 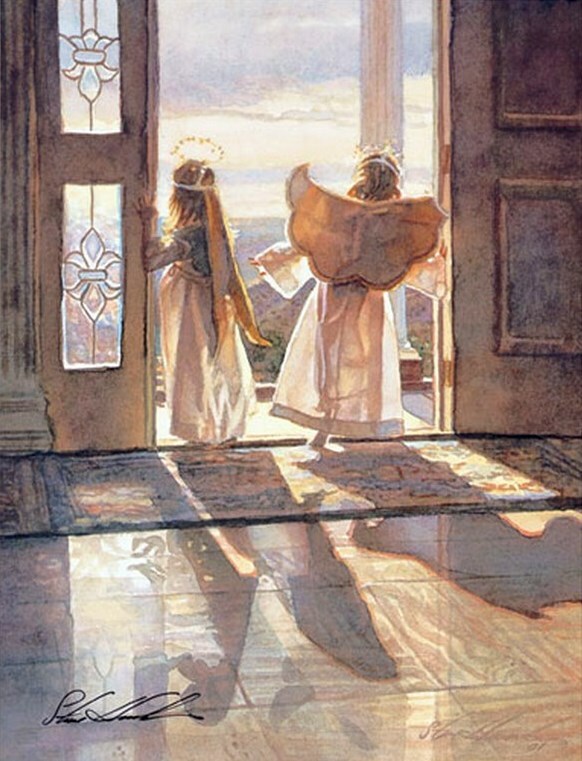 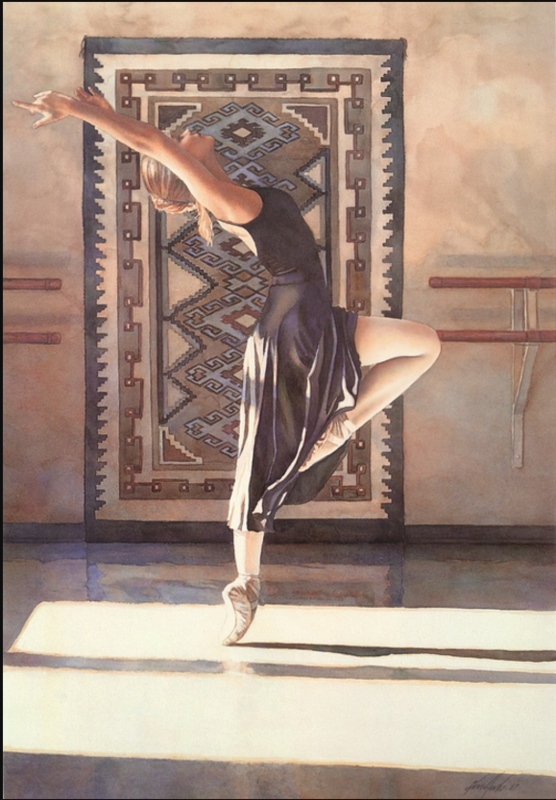 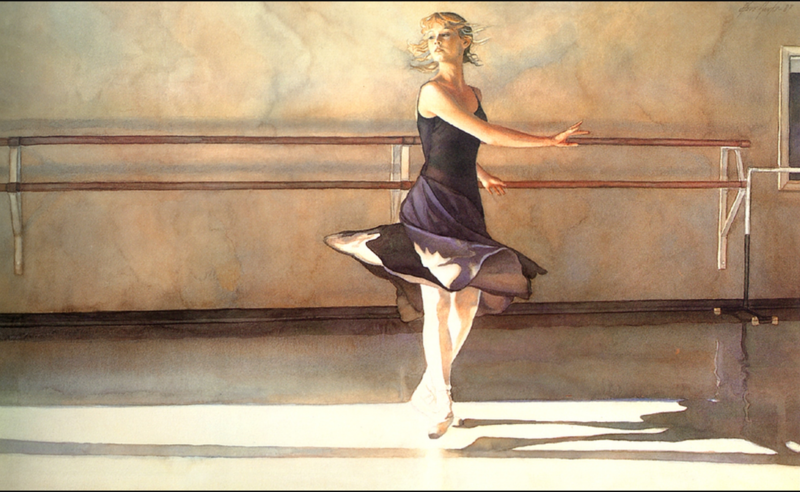 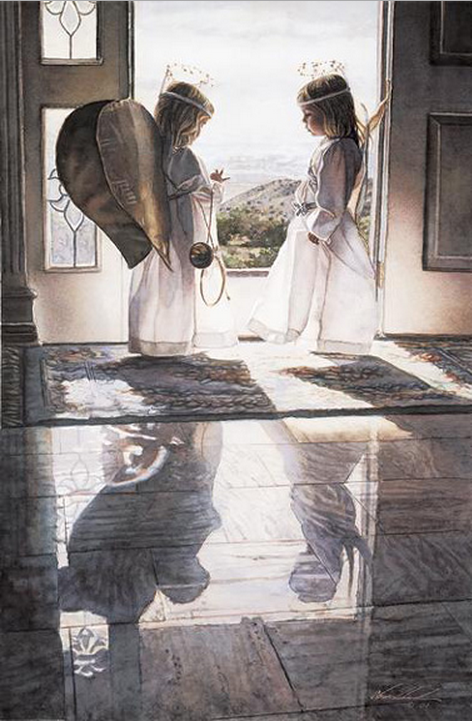 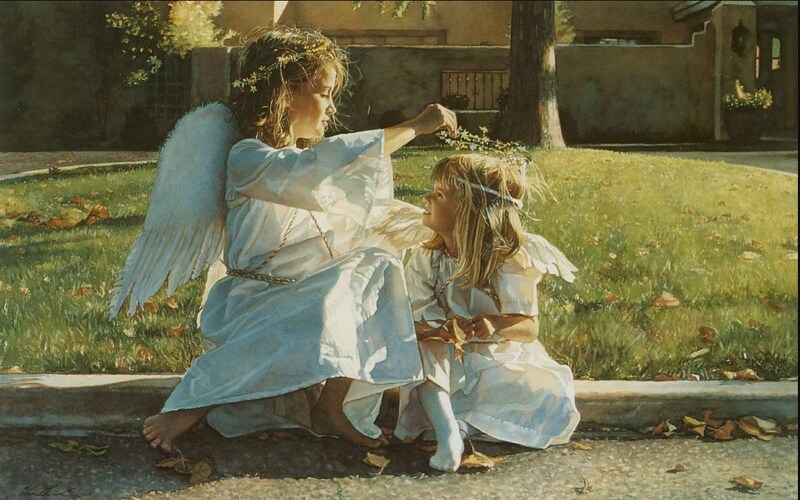 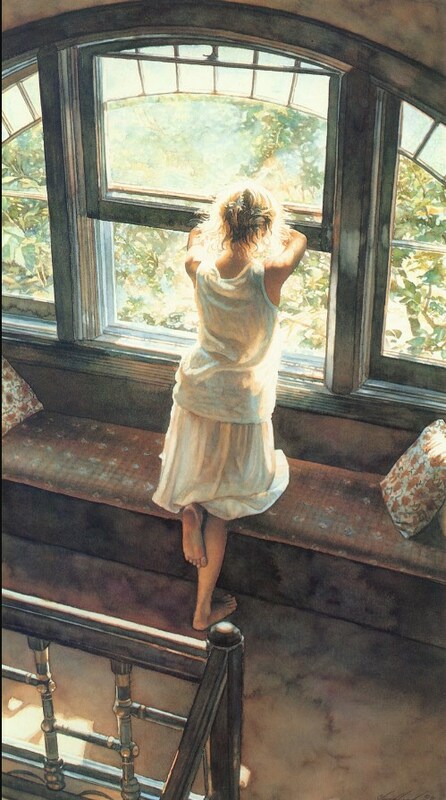 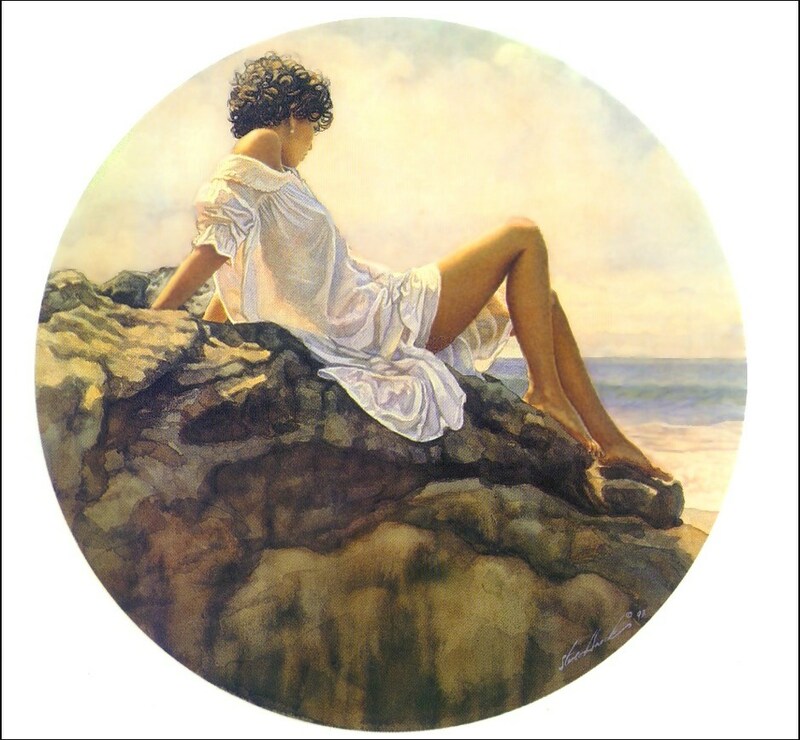 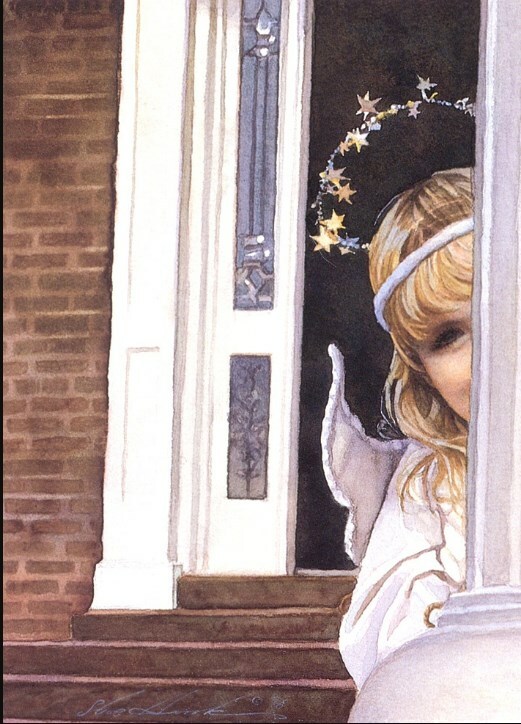 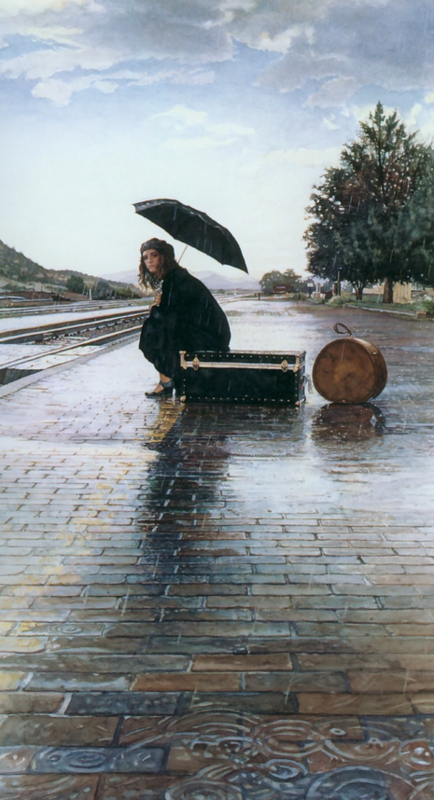 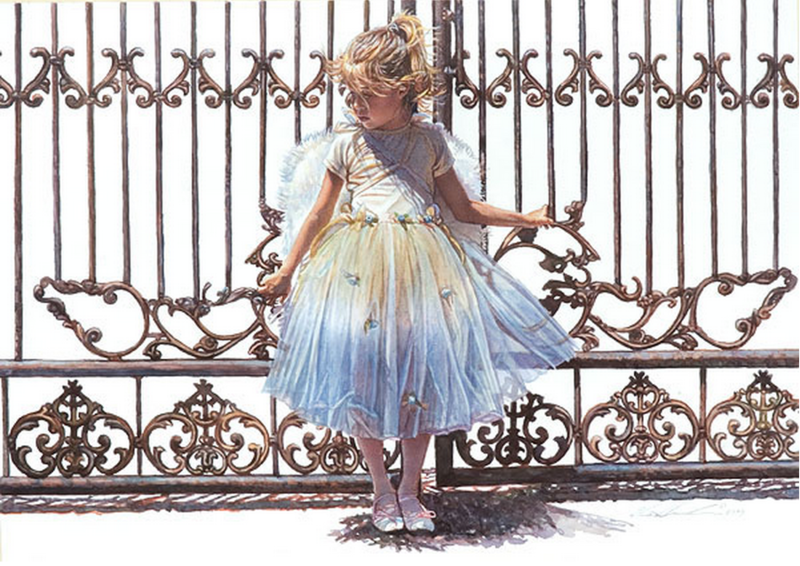 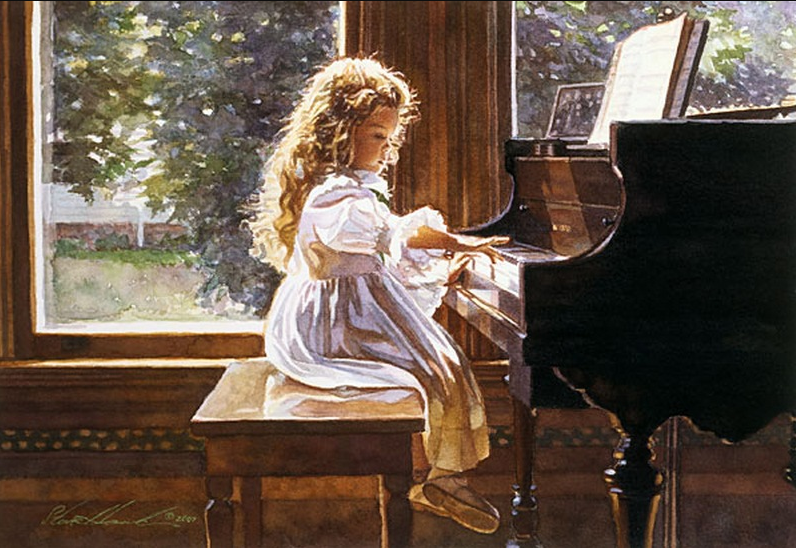 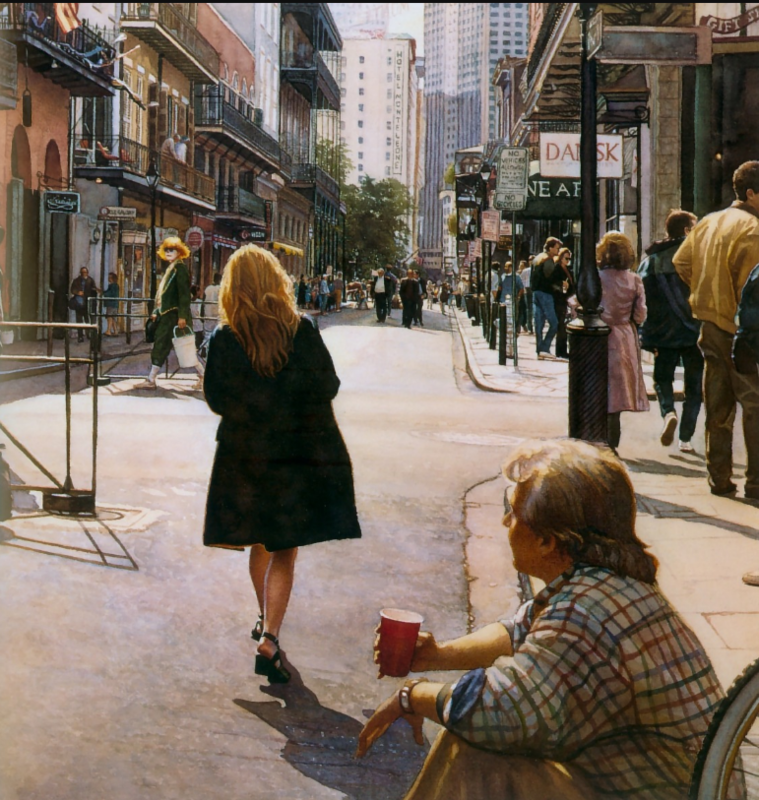 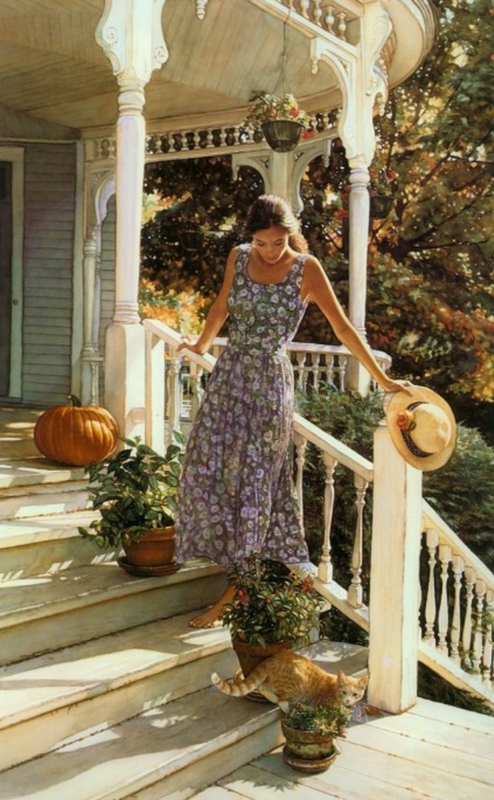 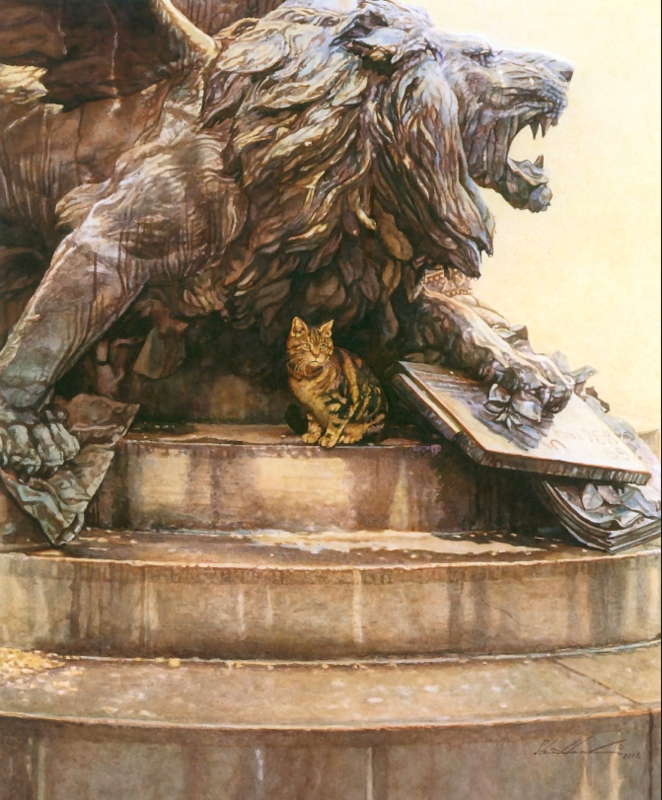 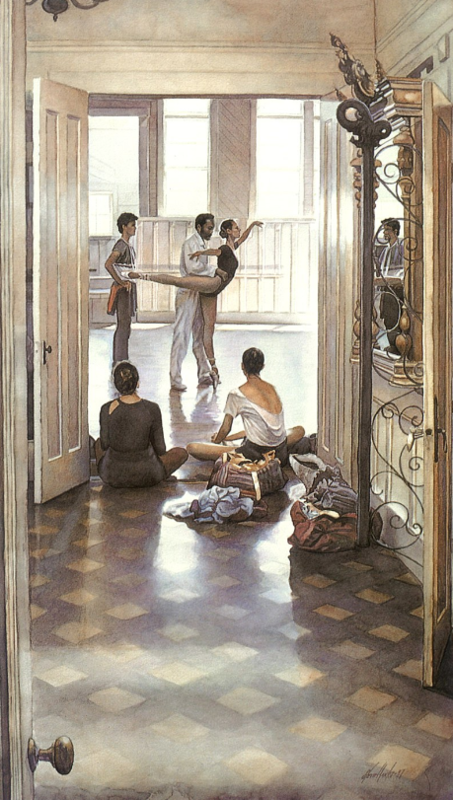 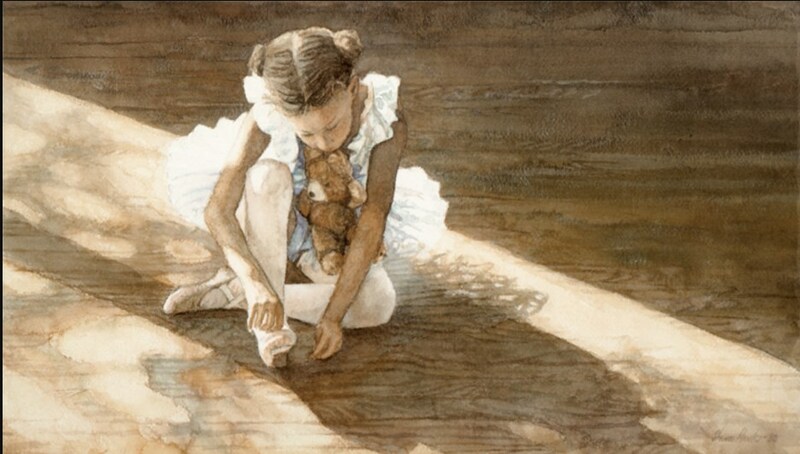 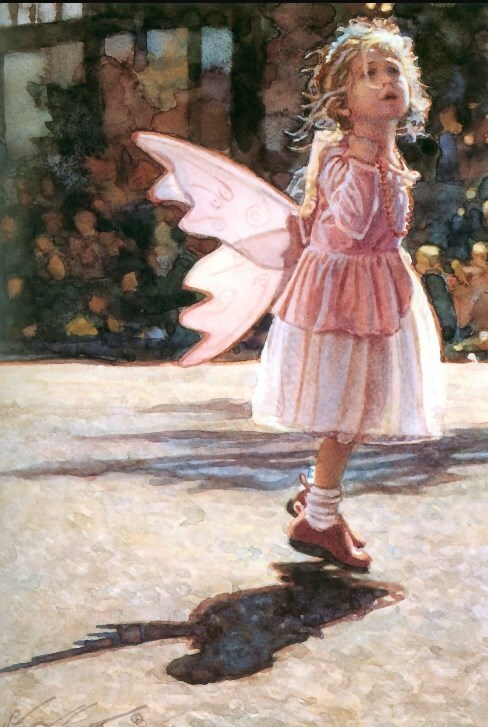 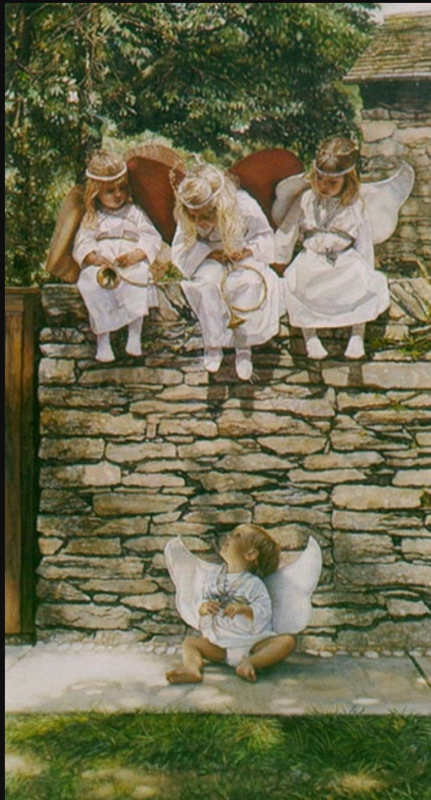 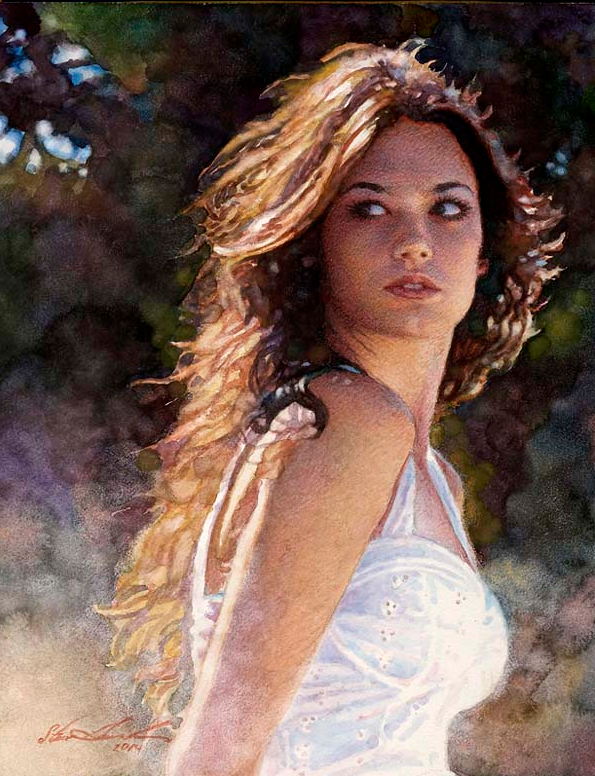 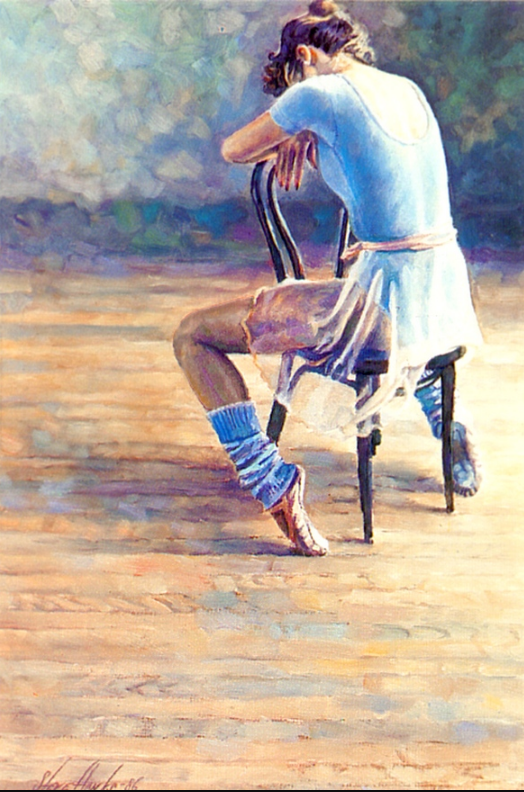 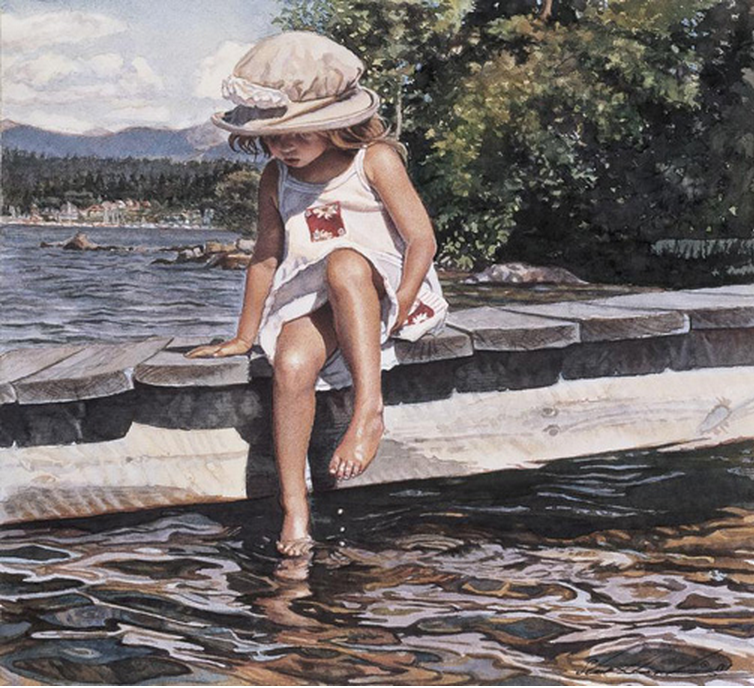 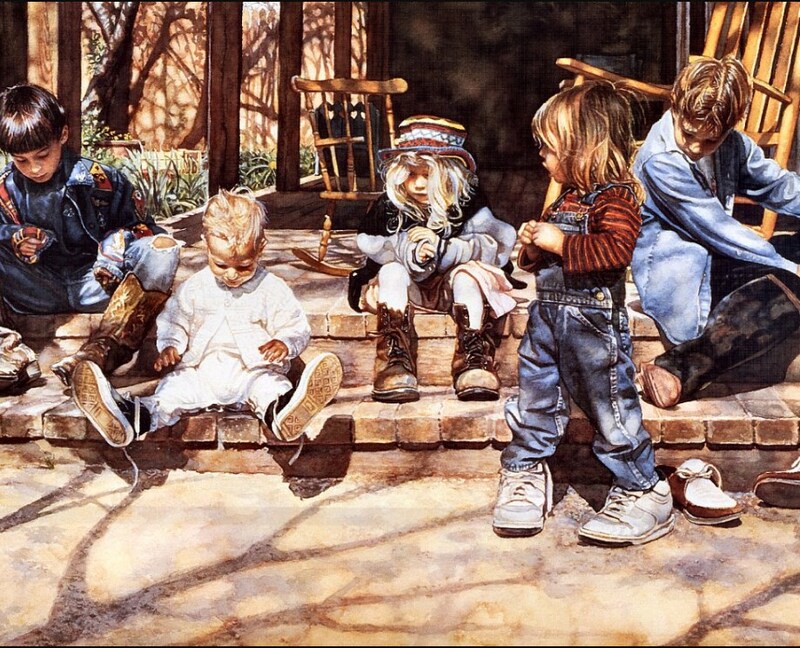 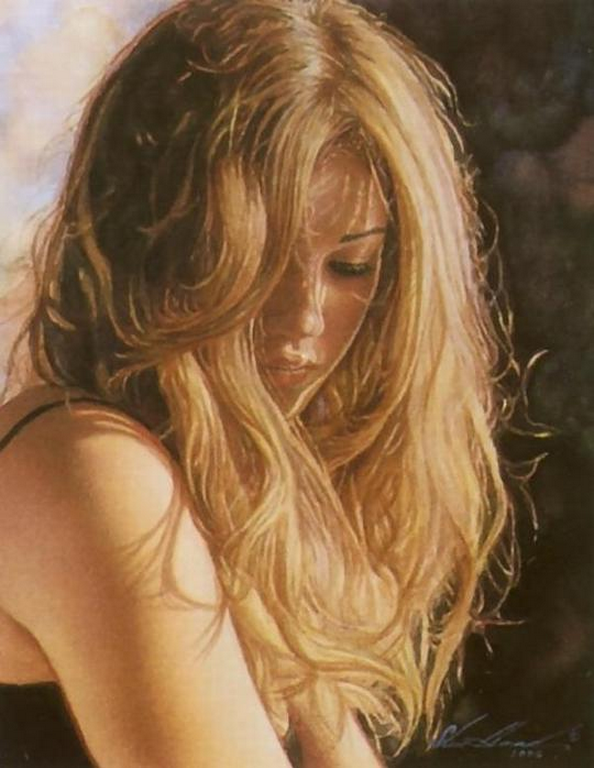 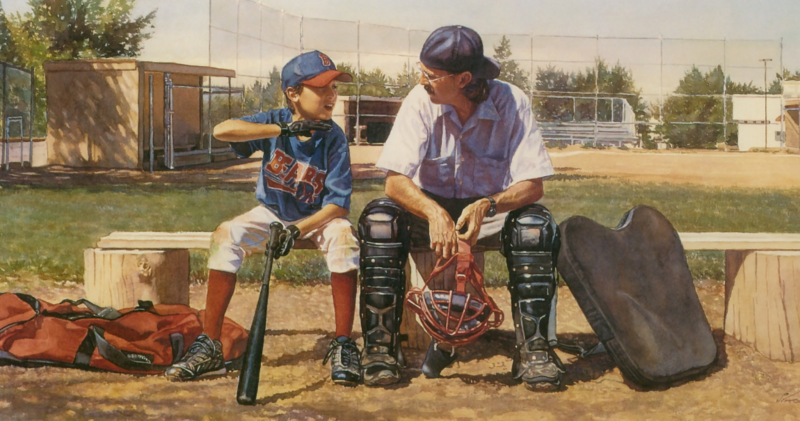 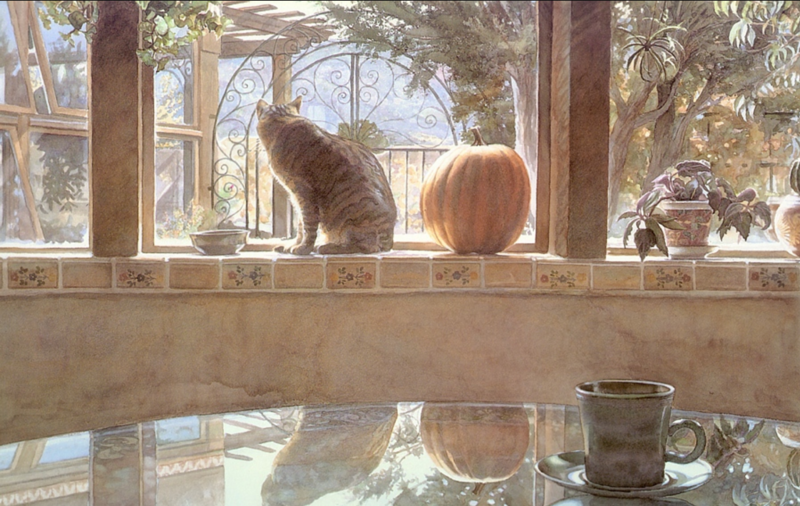 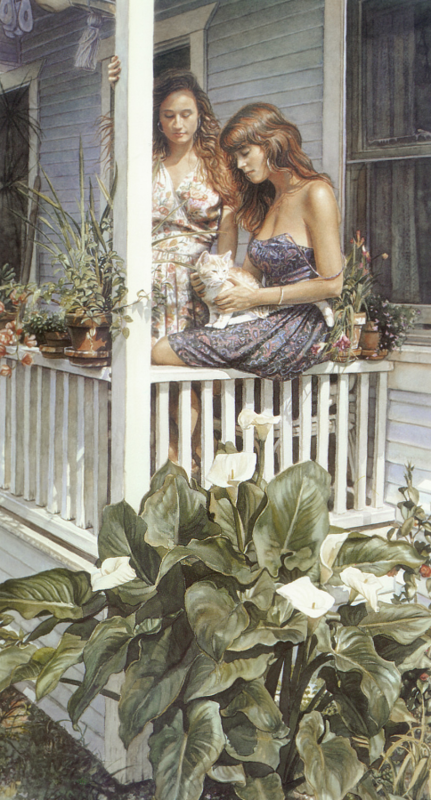 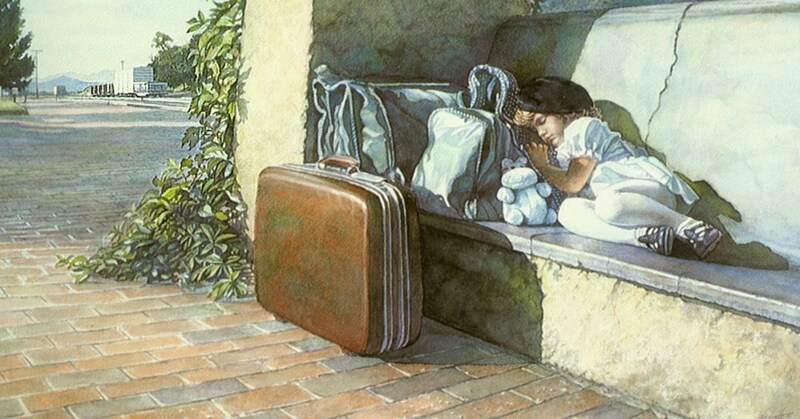 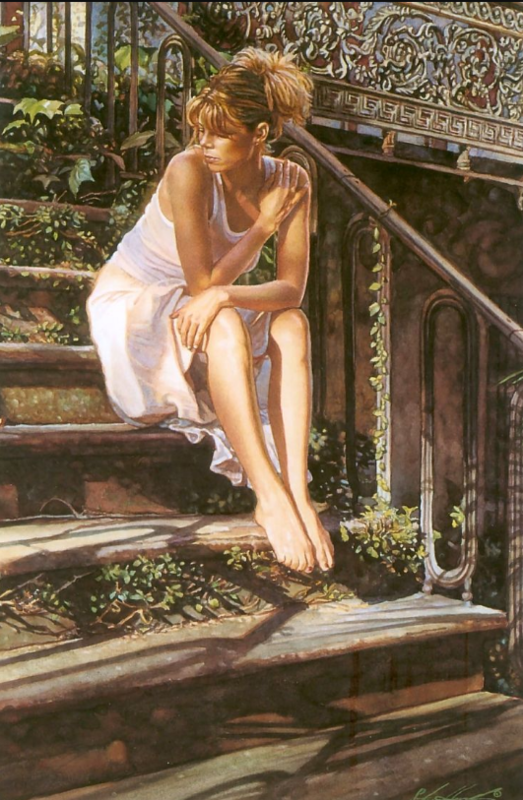 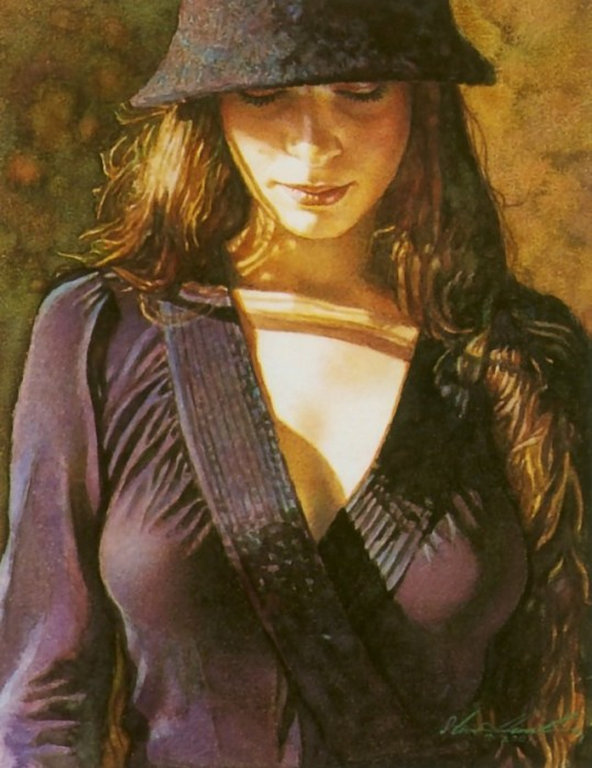 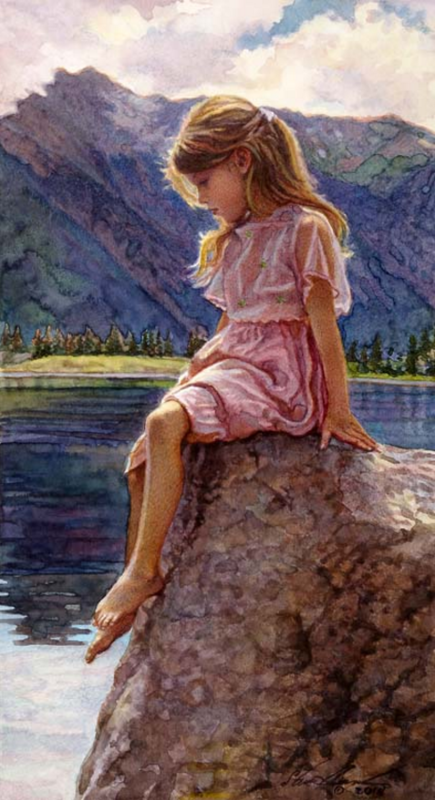 Steve Hanks (1949-2015) is recognized as one of the best watercolor artists working today. 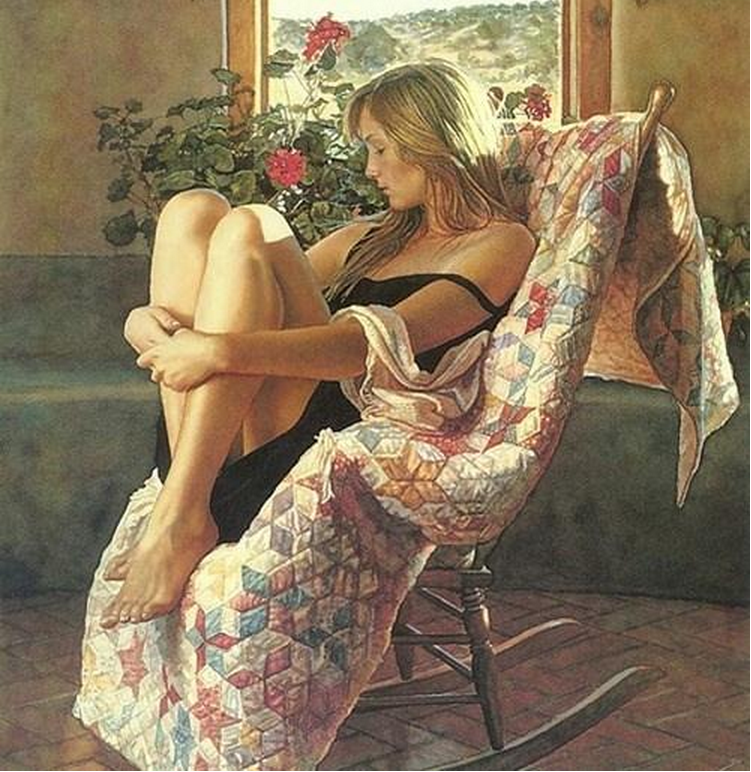 The detail, color and realism of Steve Hanks’ paintings are unheard of in this difficult medium. 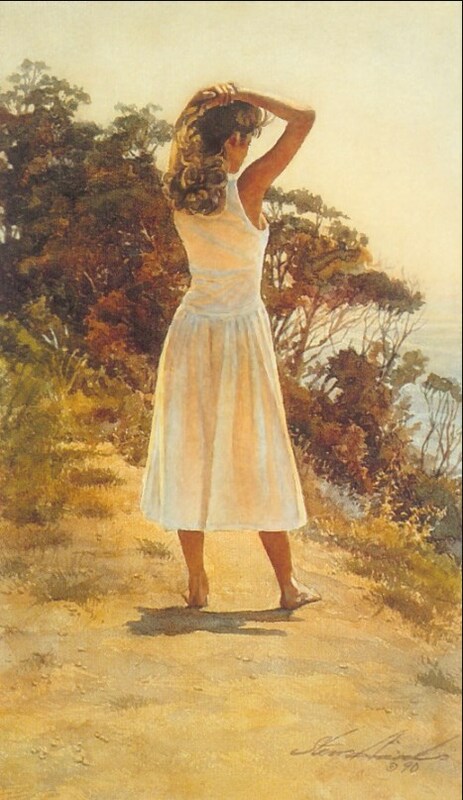 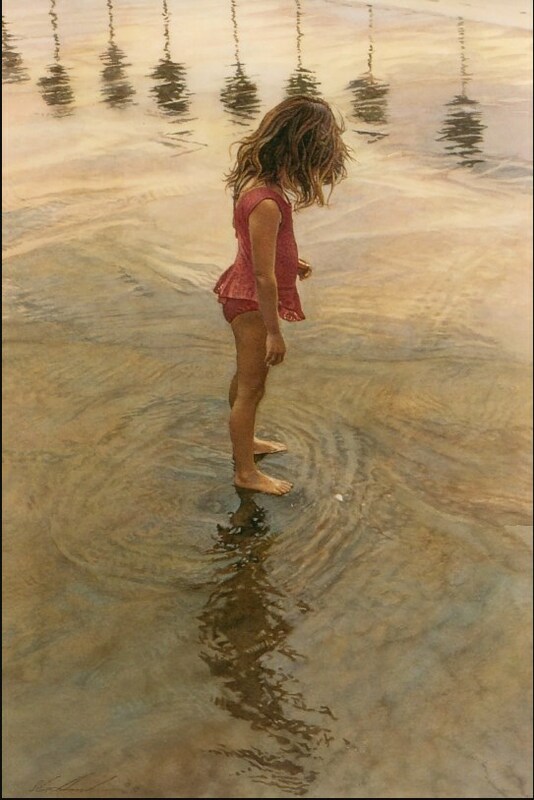 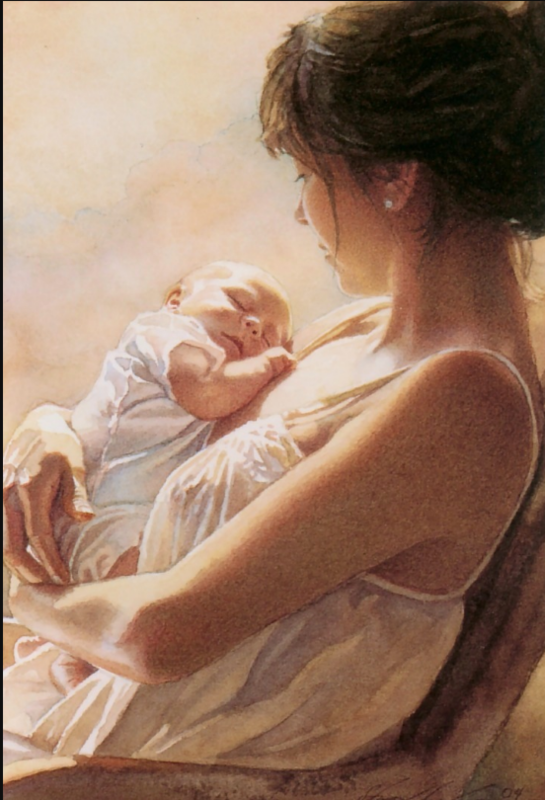 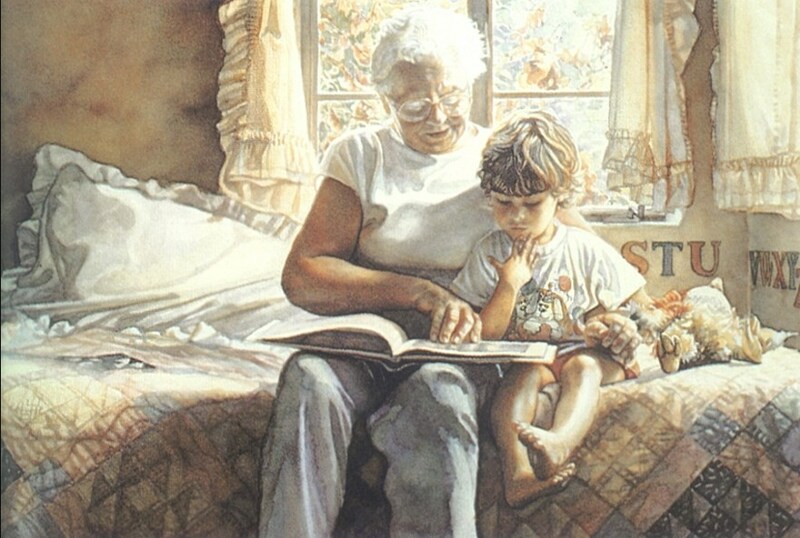 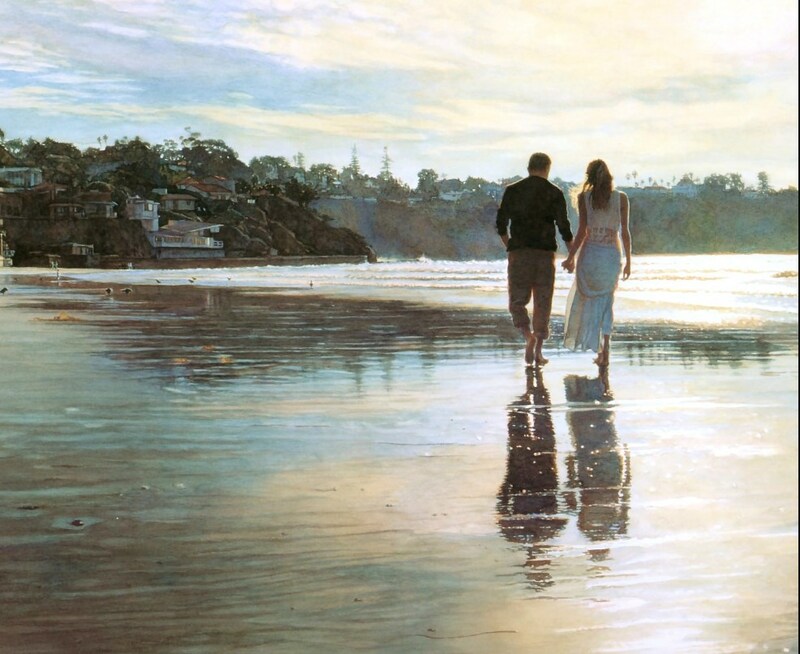 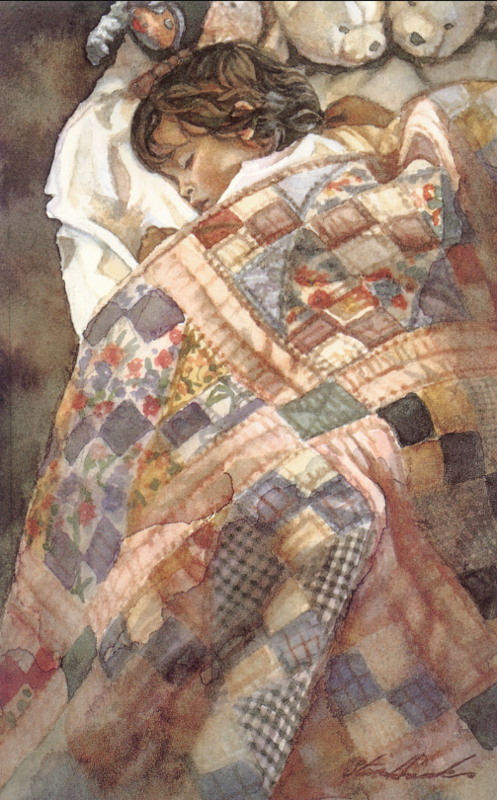 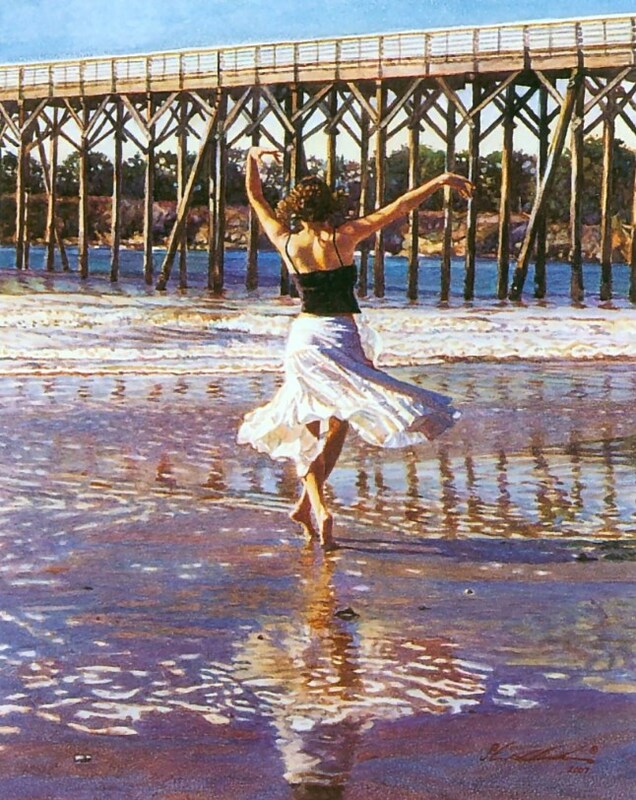 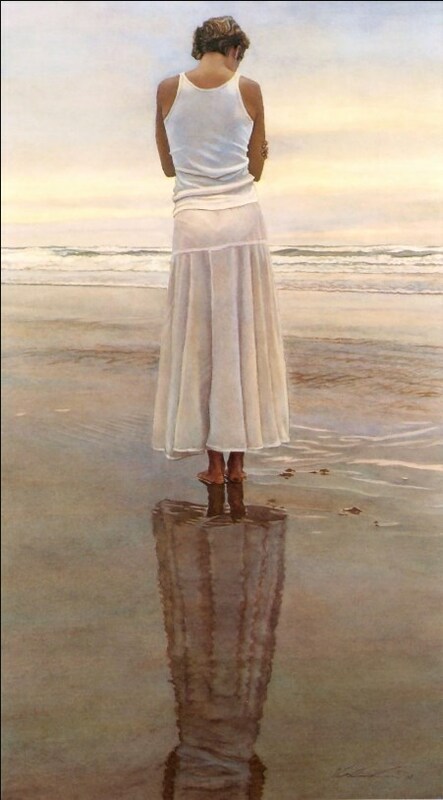 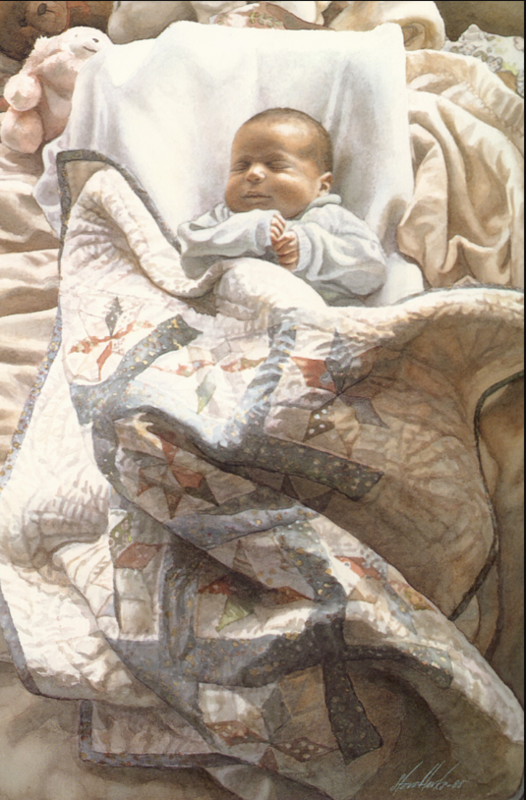 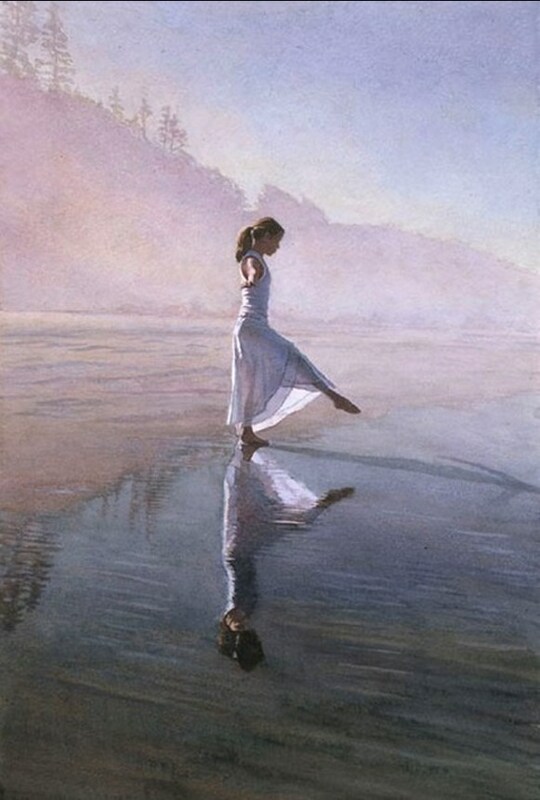 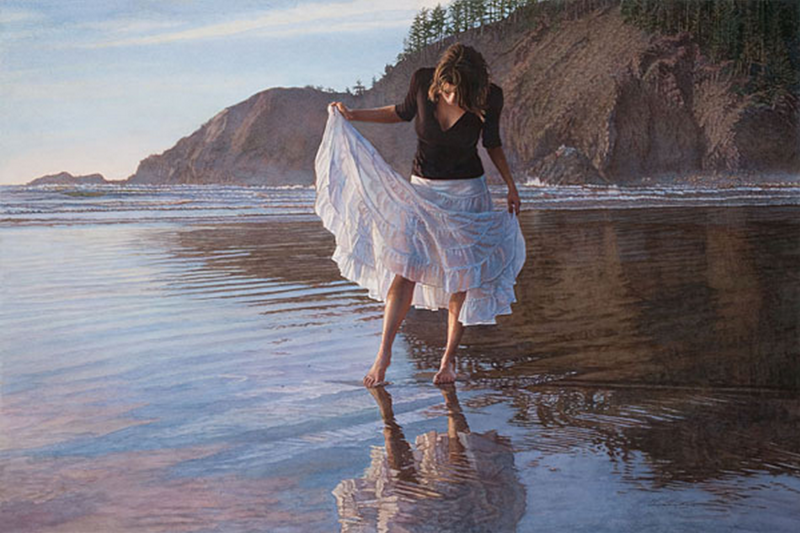 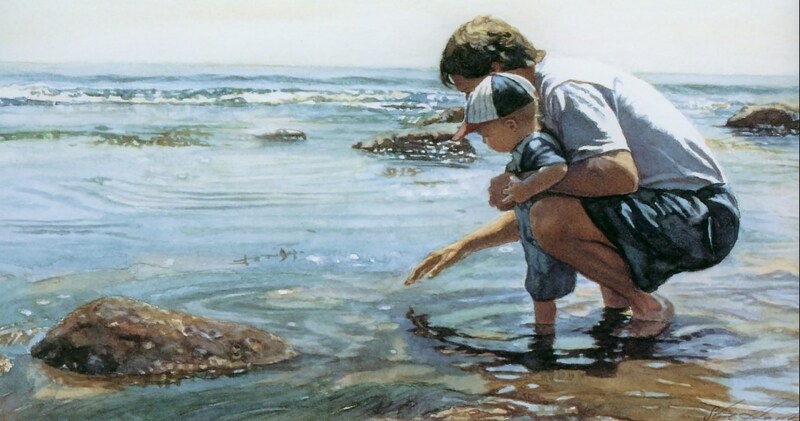 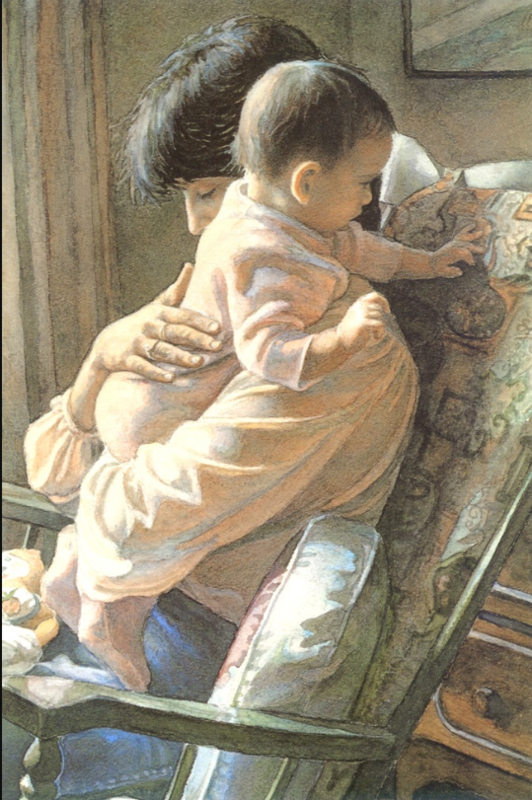 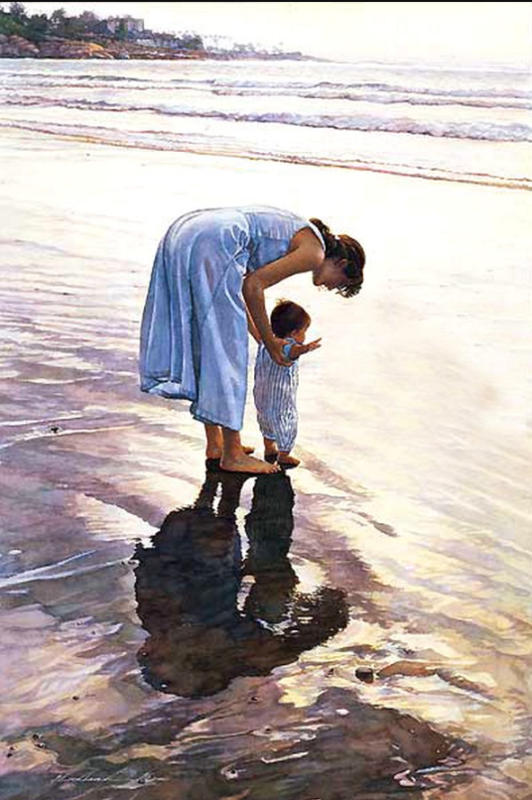 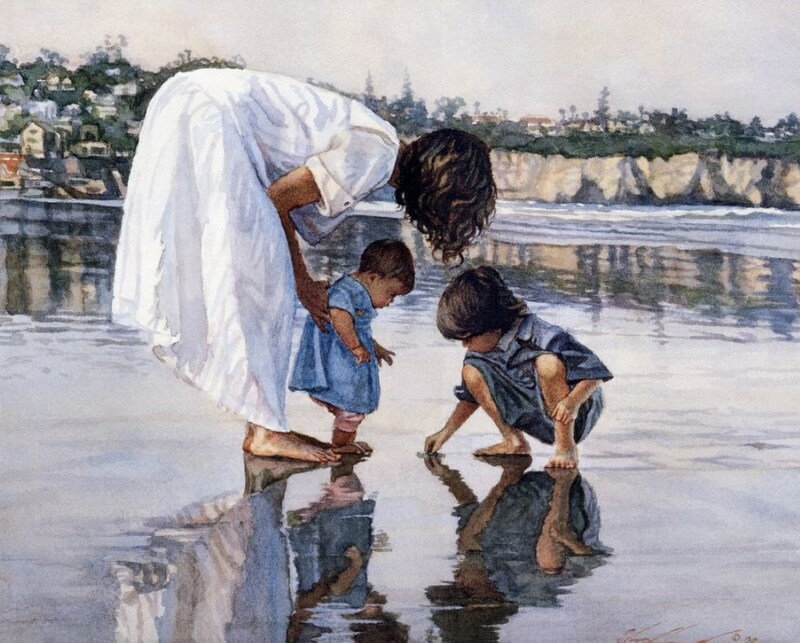 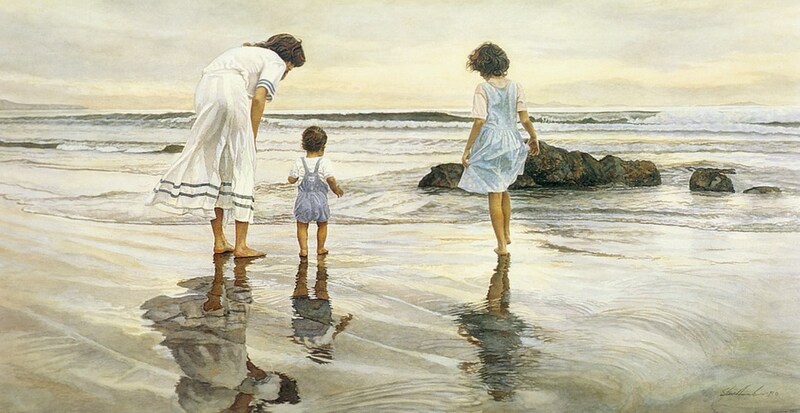 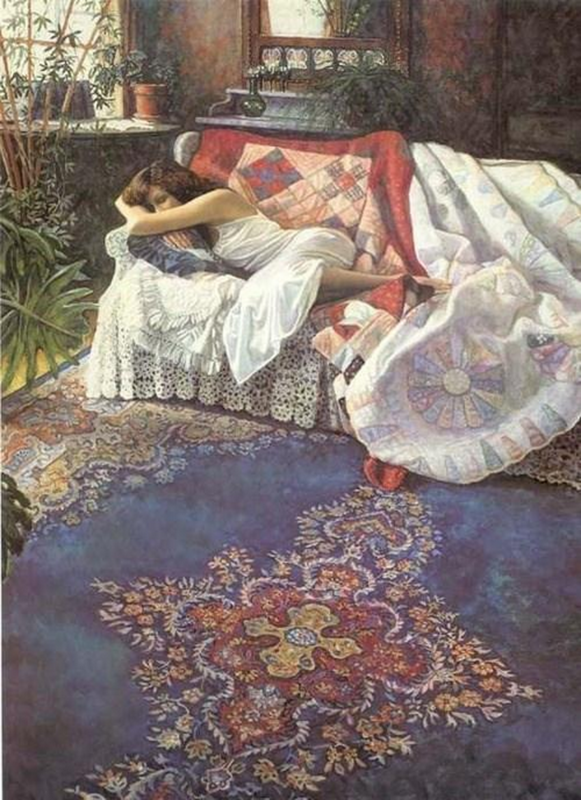 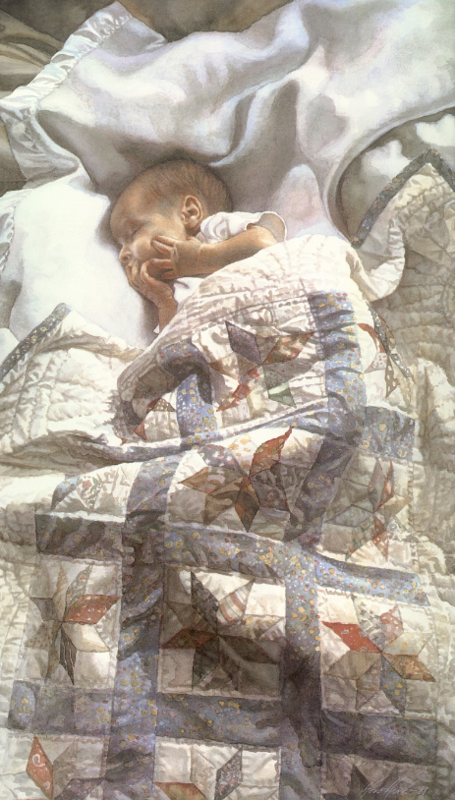 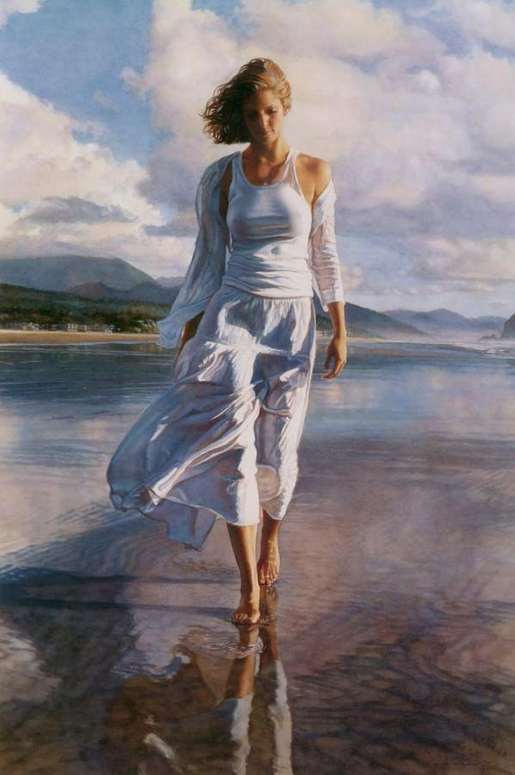 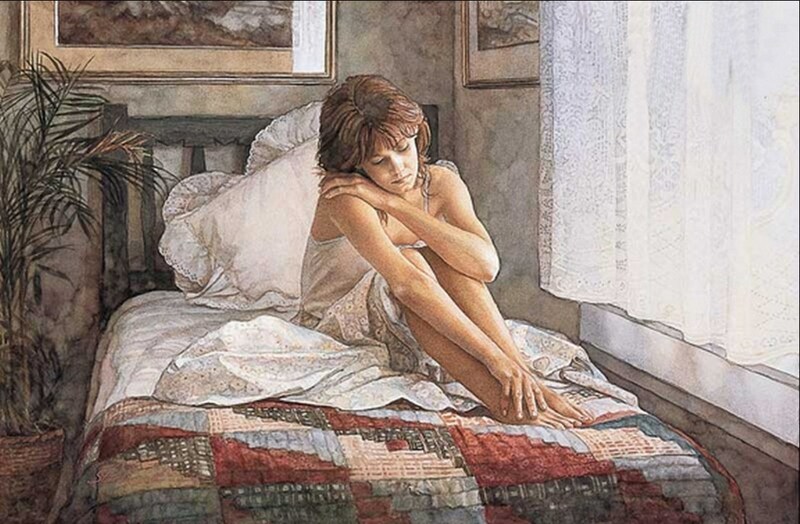 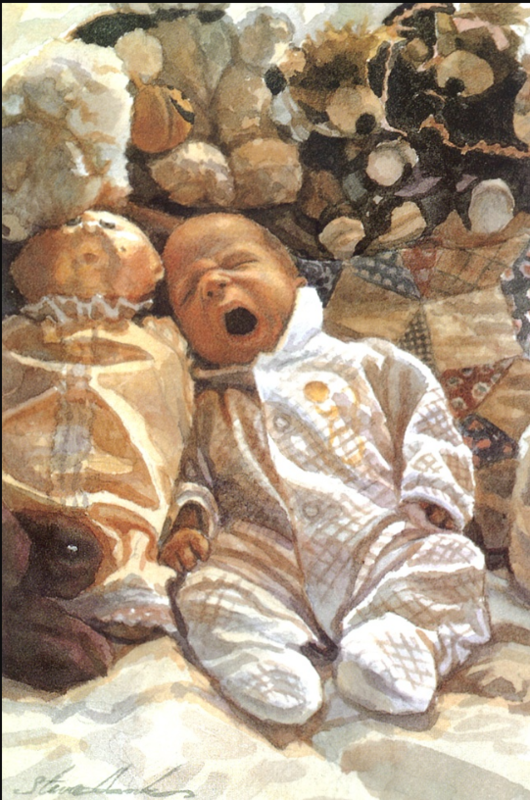 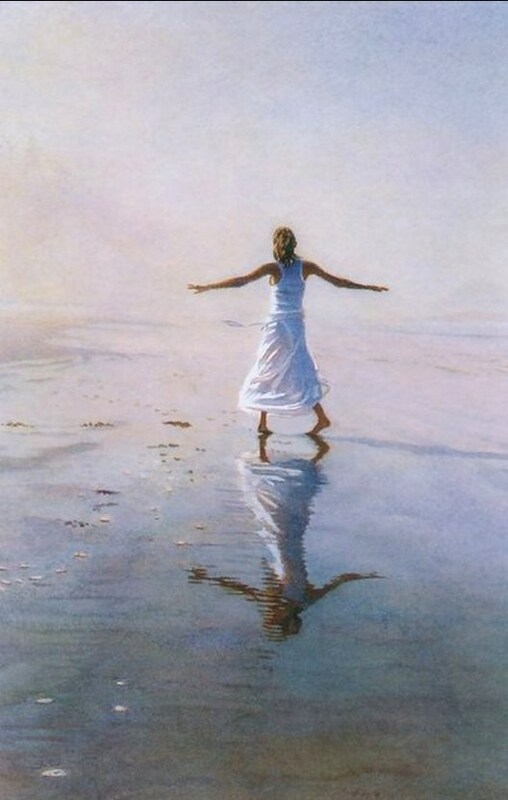 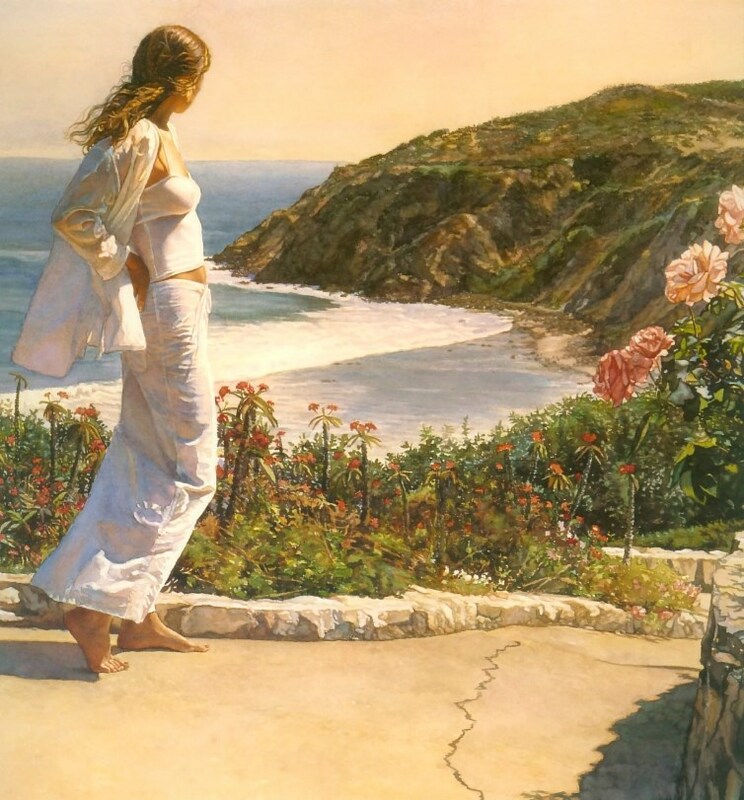 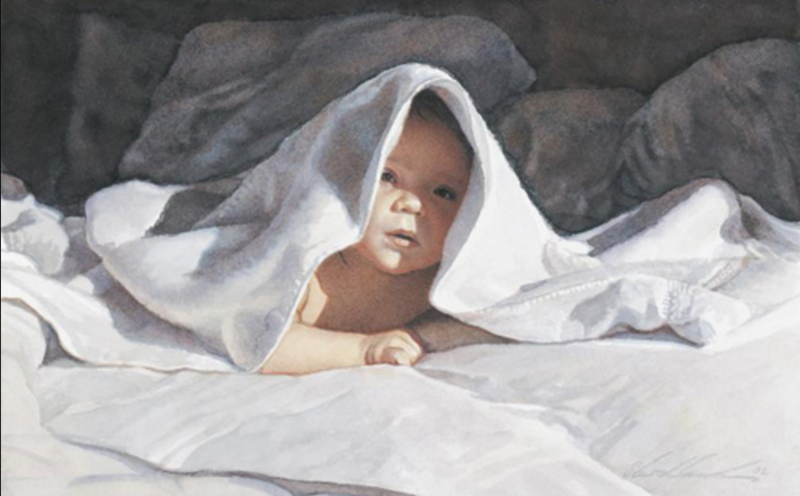 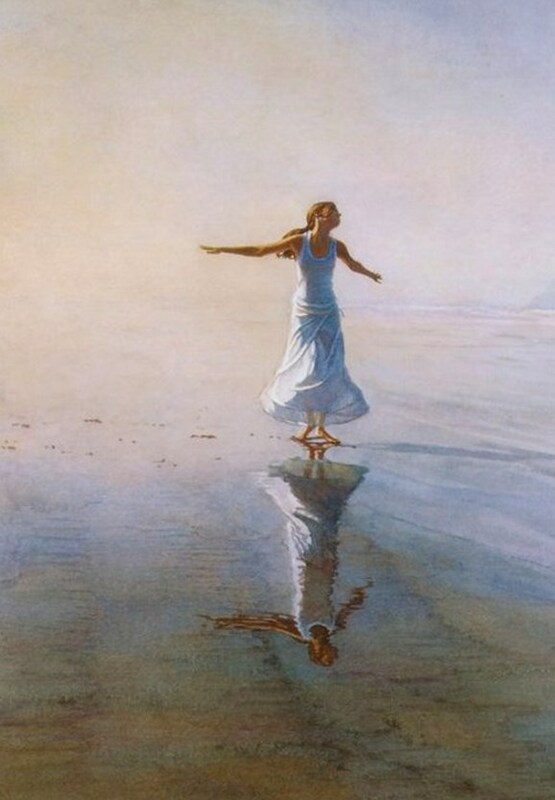 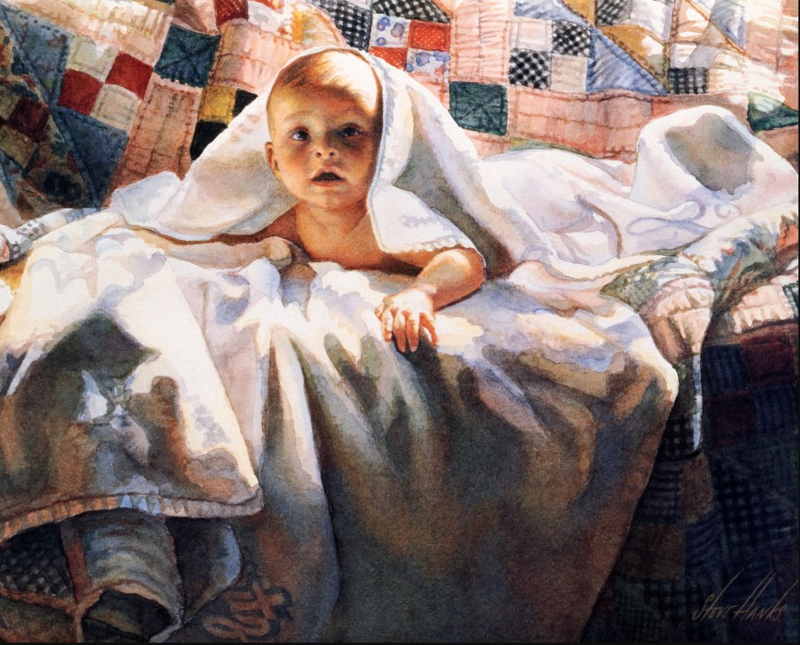 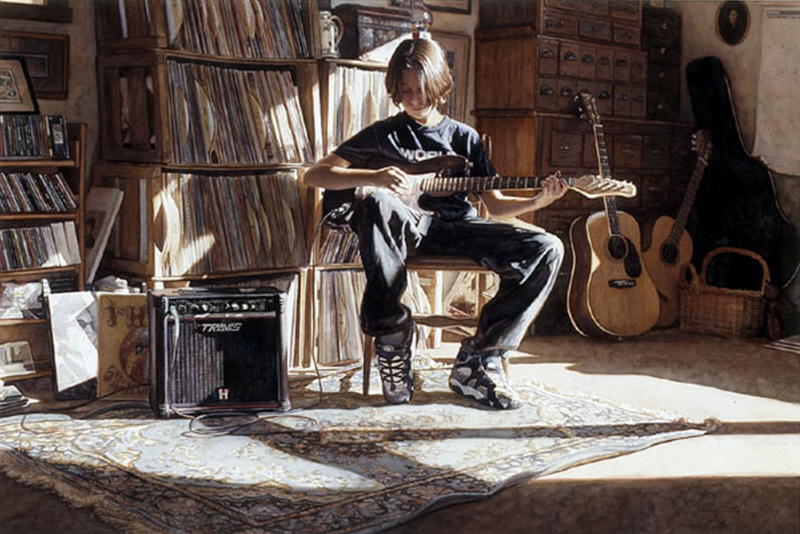 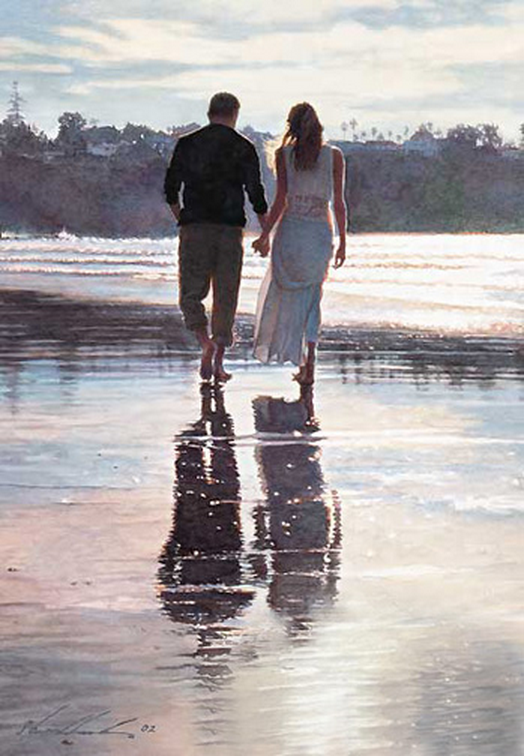 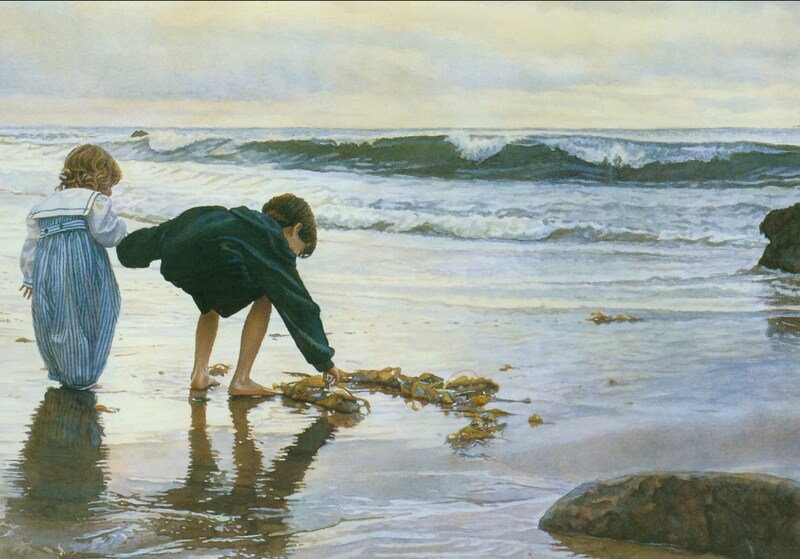 A softly worn patterned quilt, the play of light on the thin veil of surf on sand, or the delicate expression of a child–Steve Hanks captures these patterns of life better than anyone. 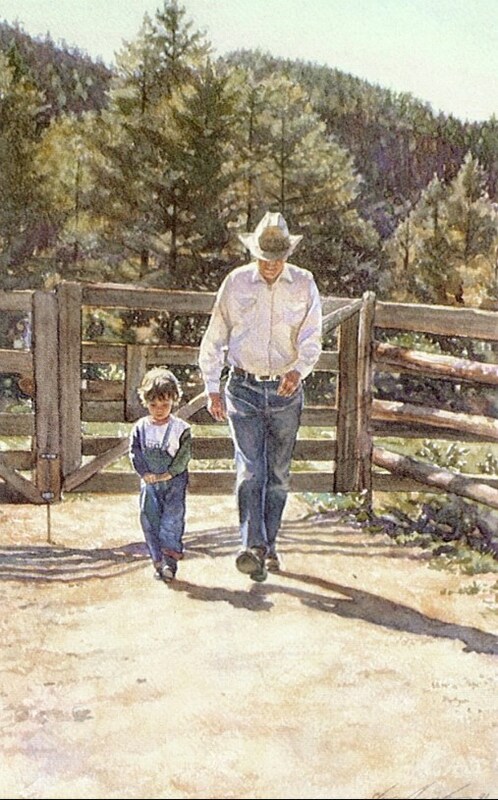 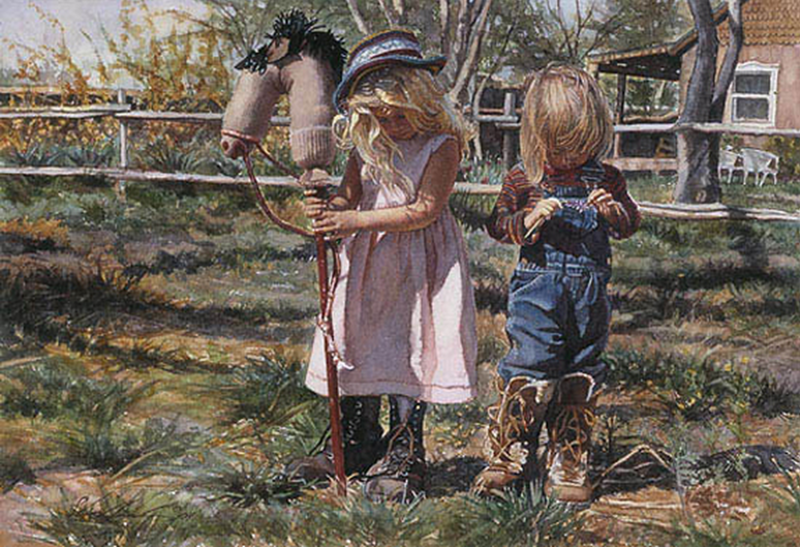 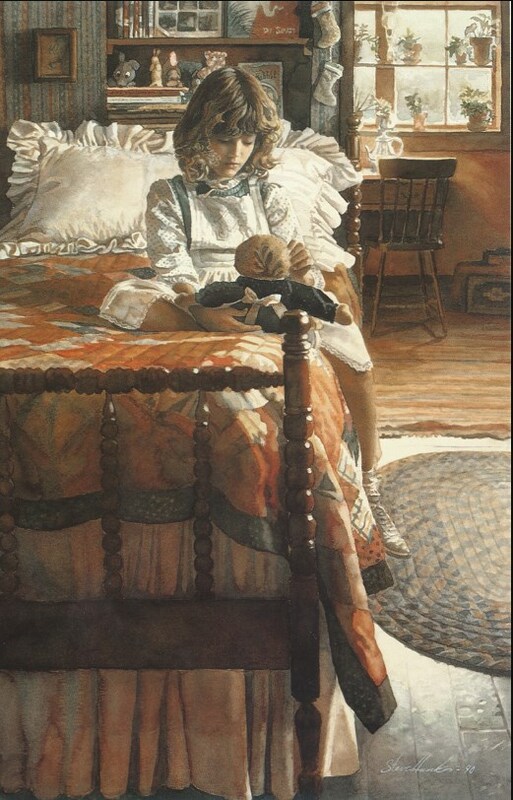 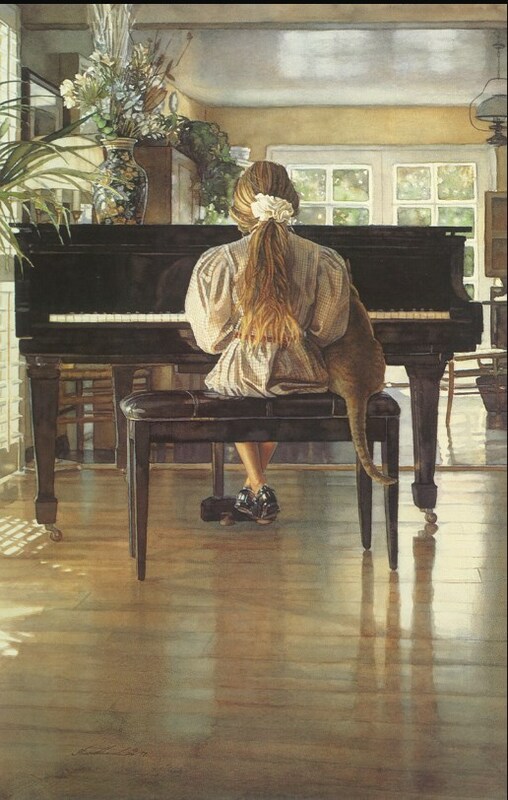 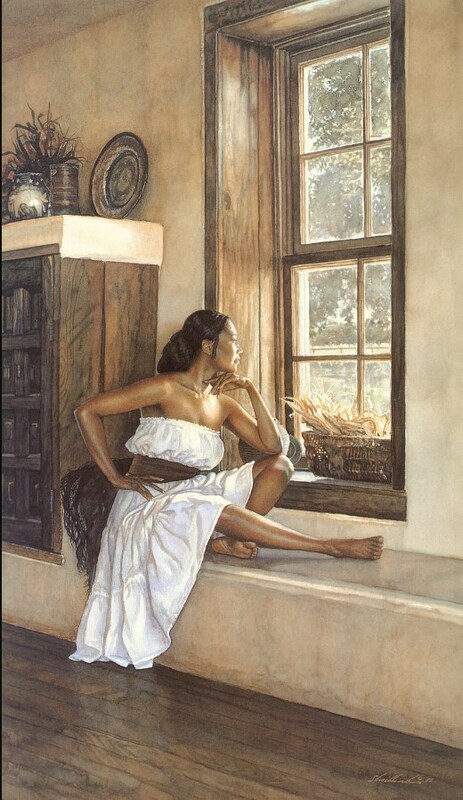 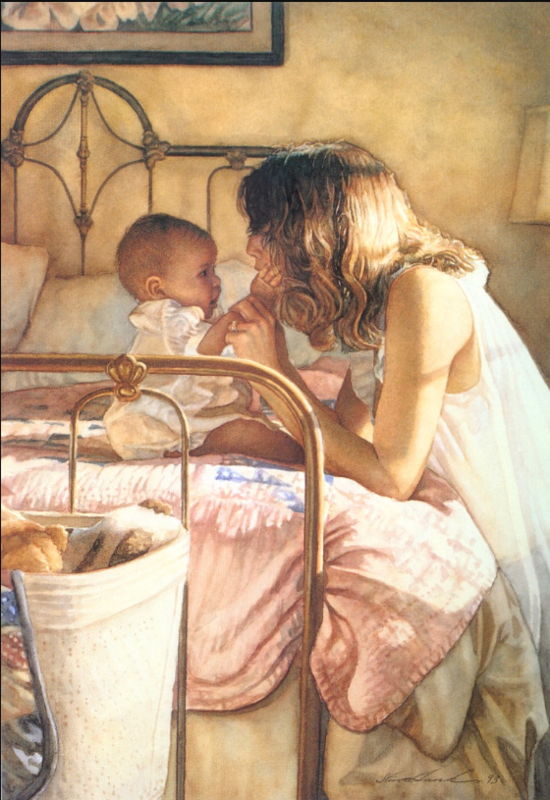 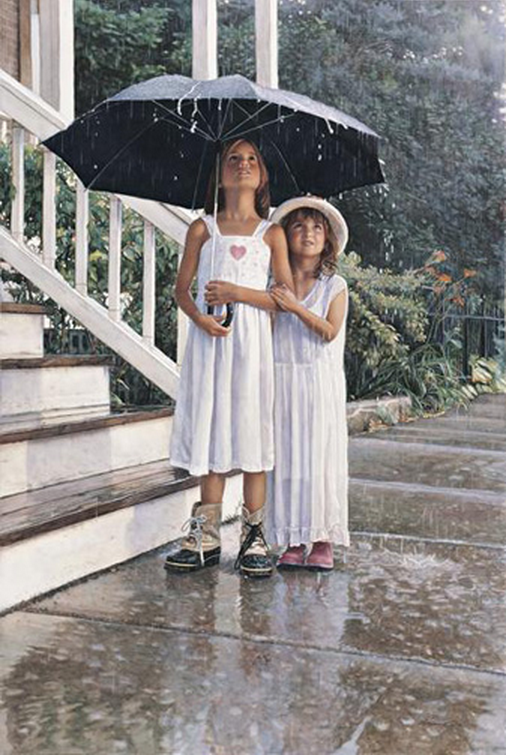 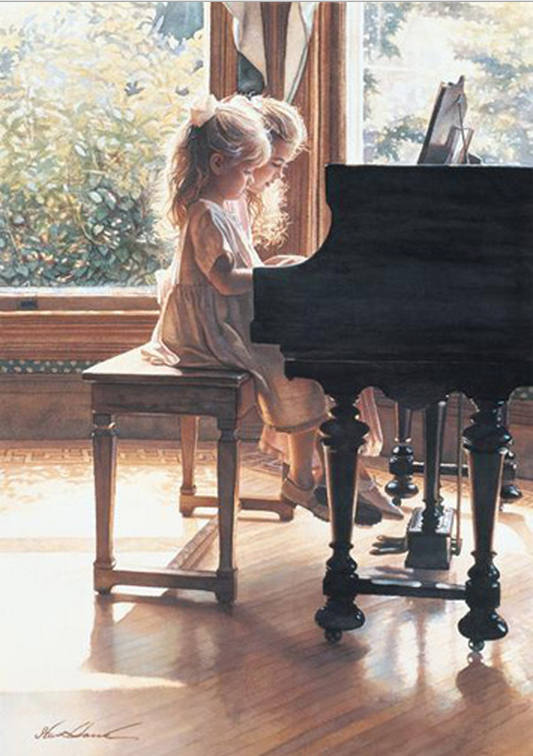 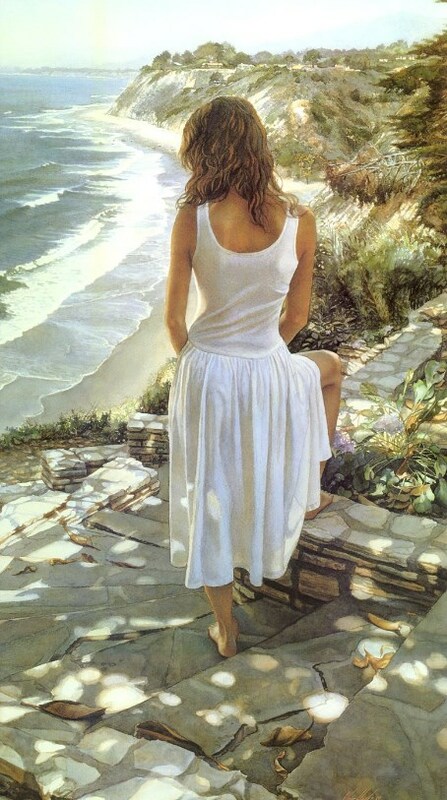 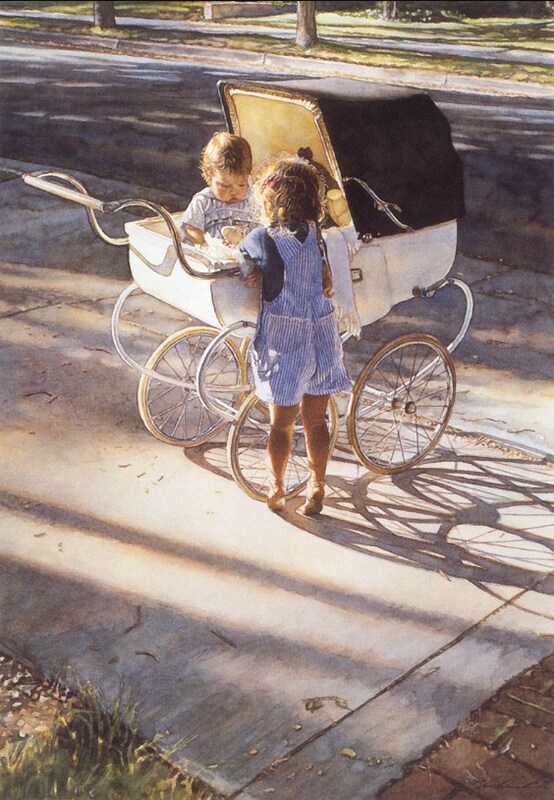 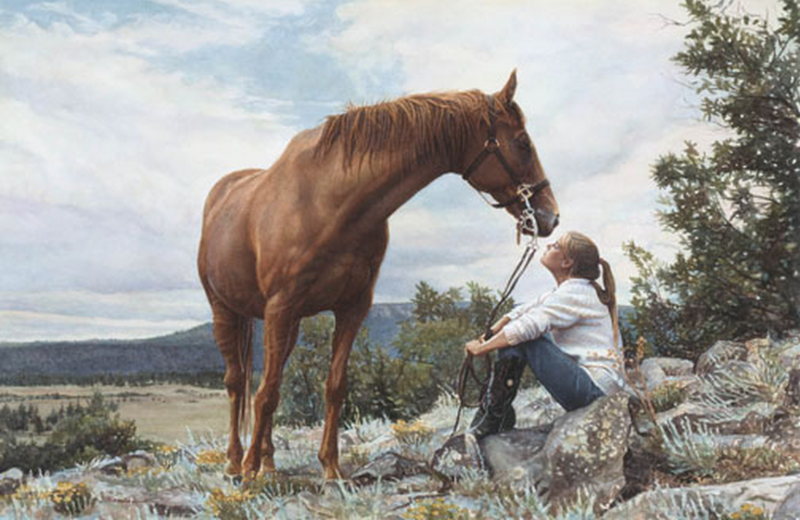 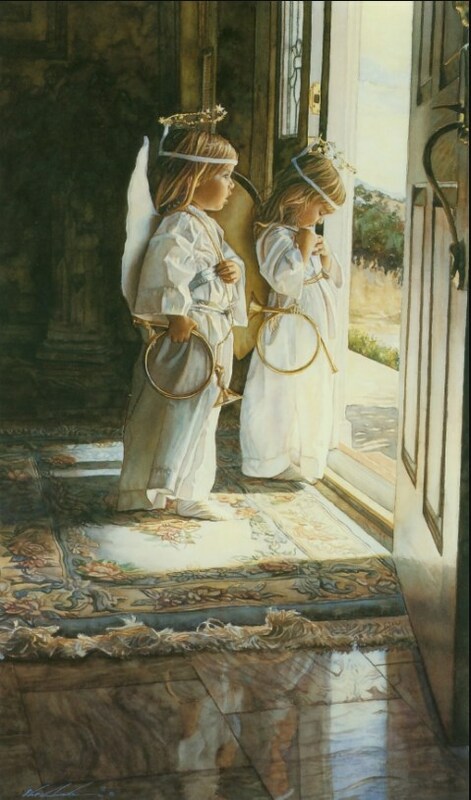 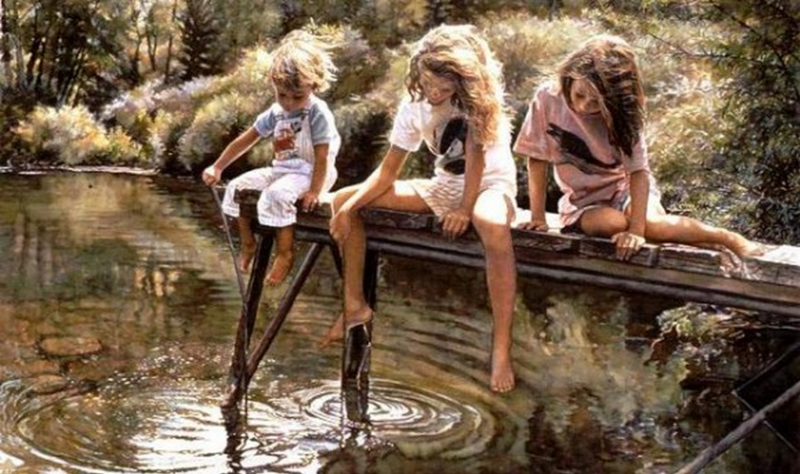 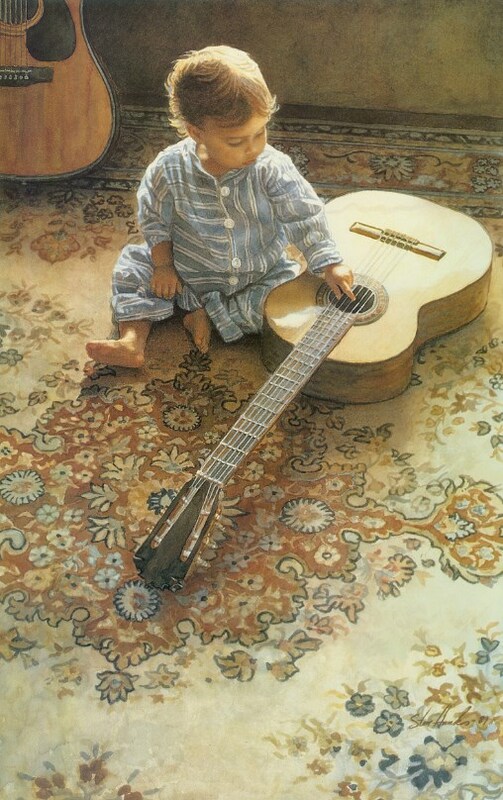 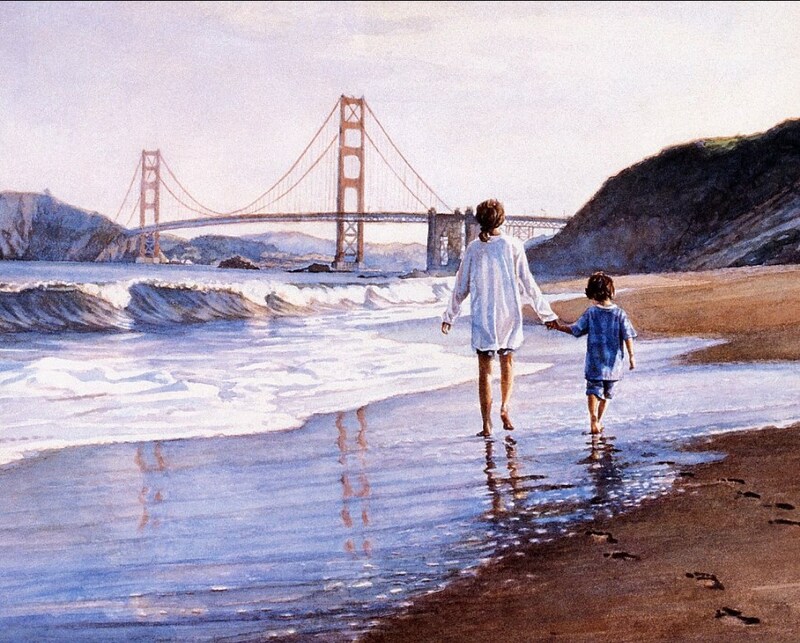 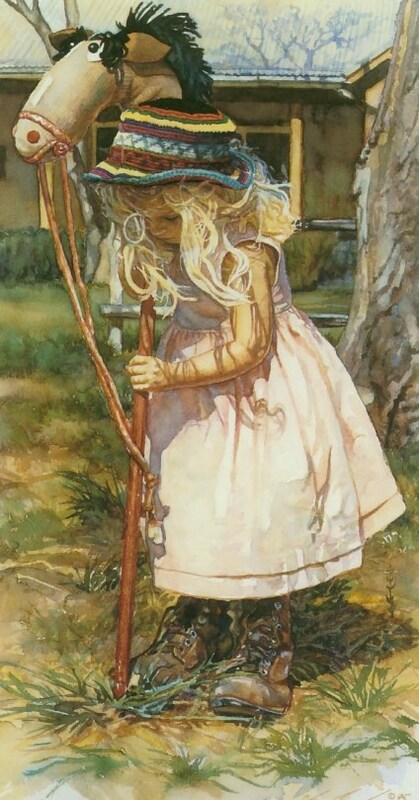 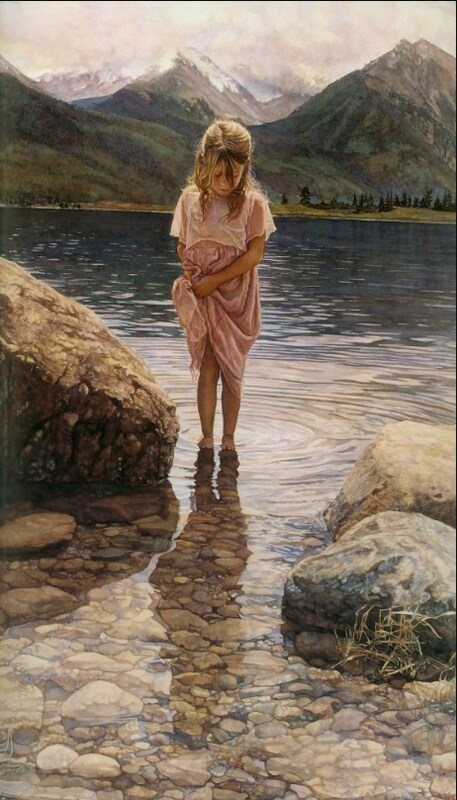 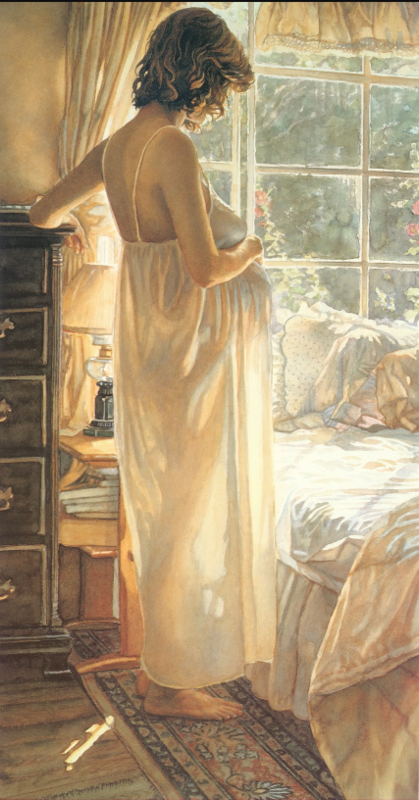 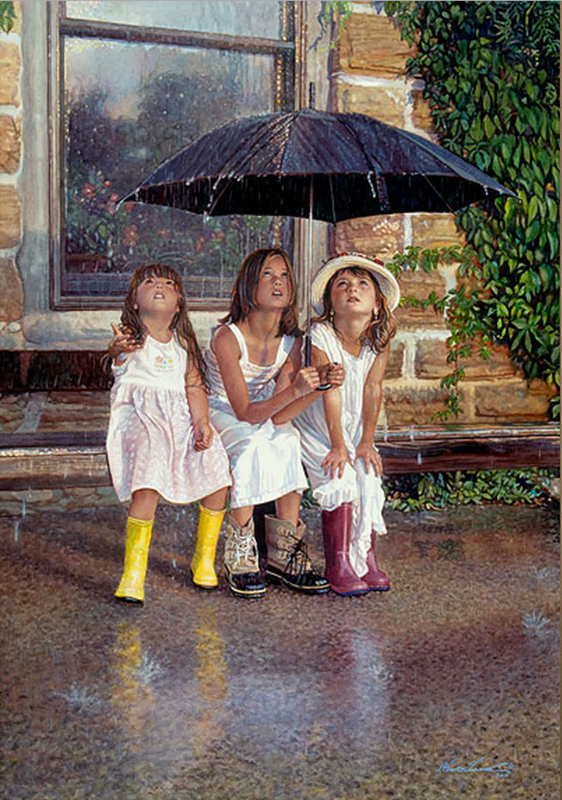 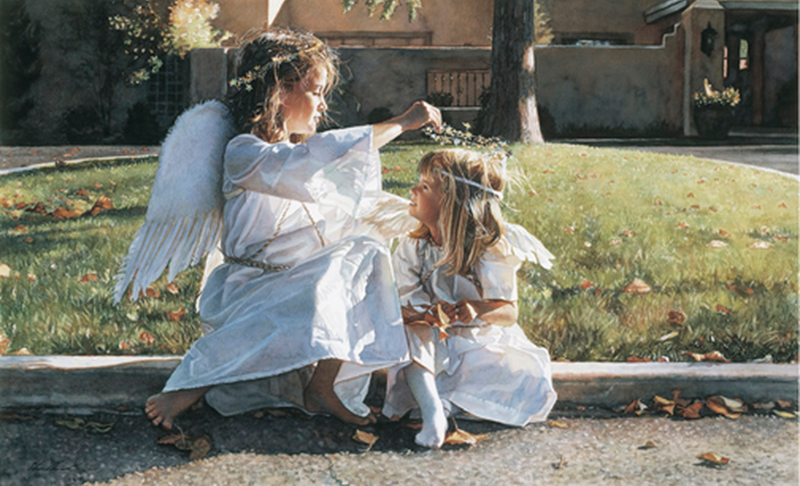 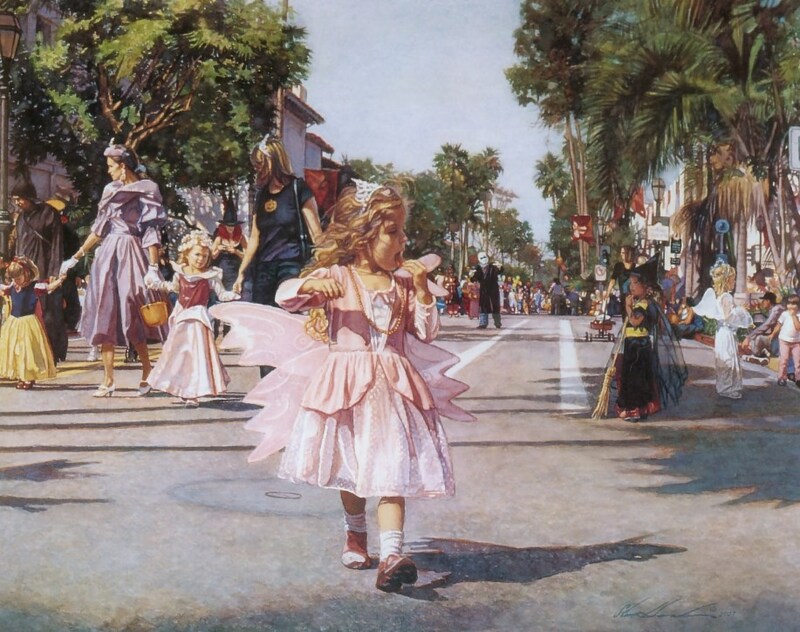 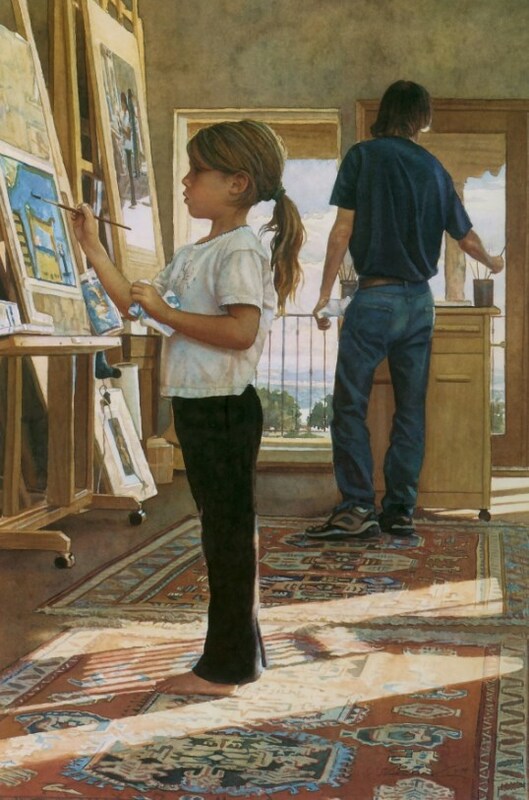 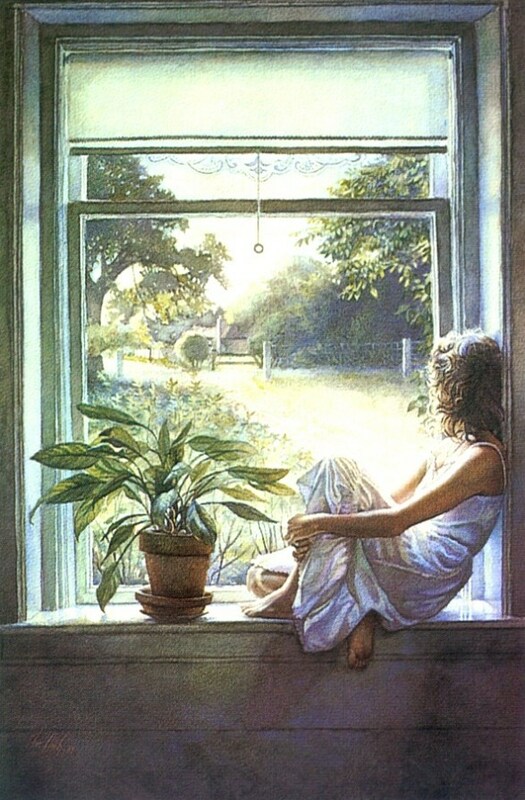 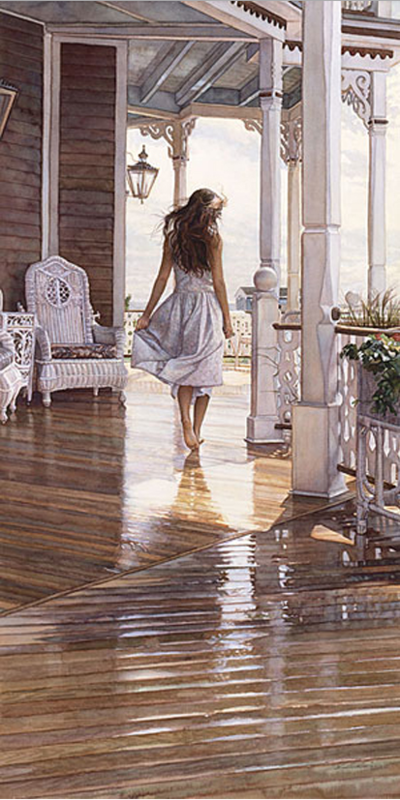 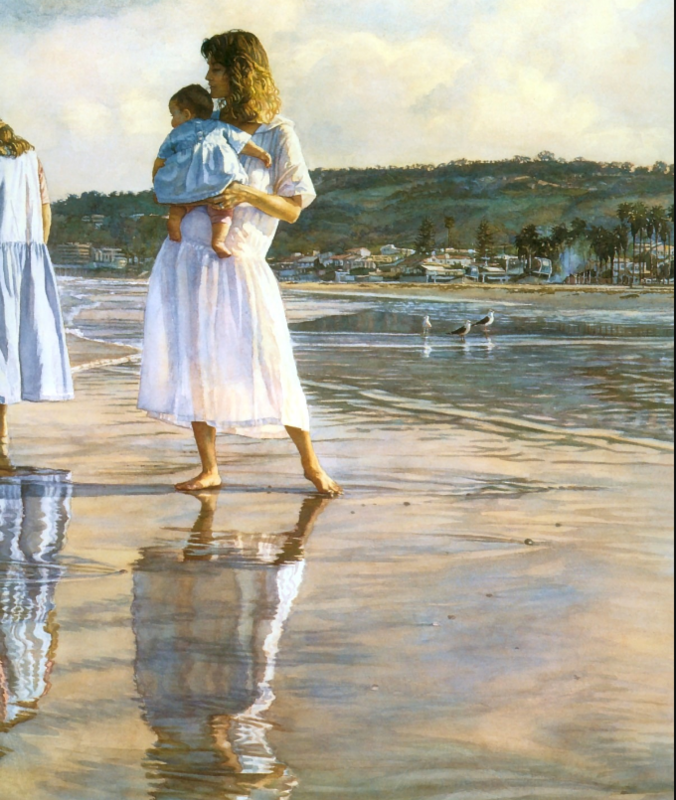 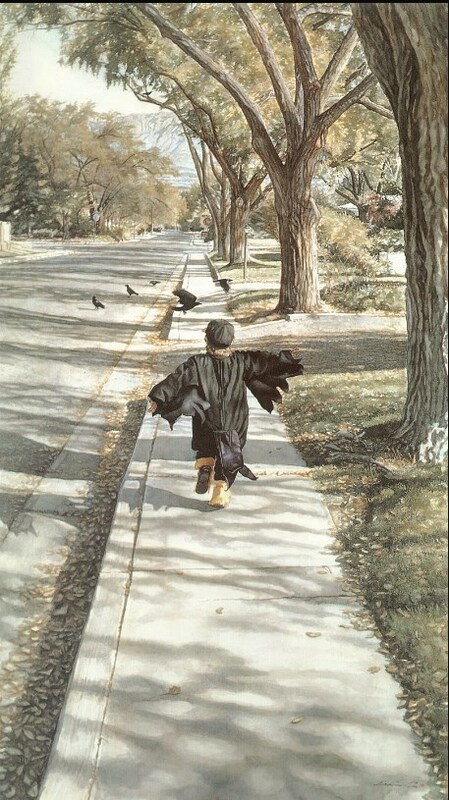 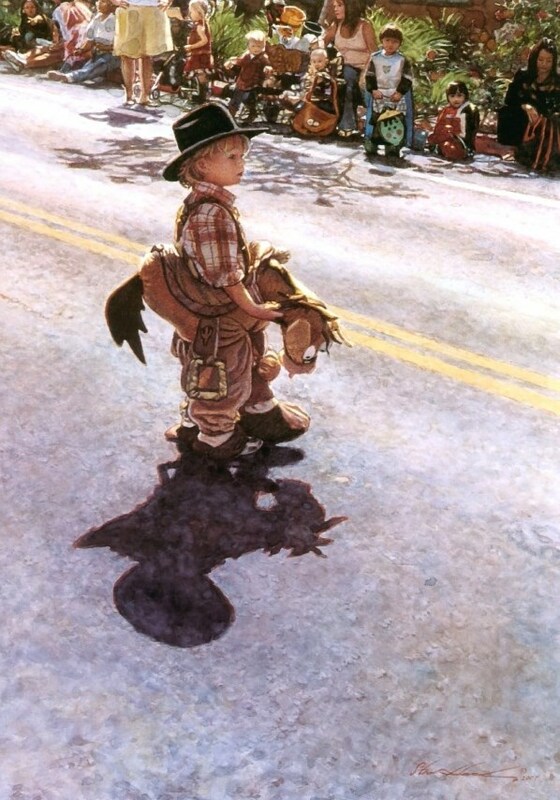 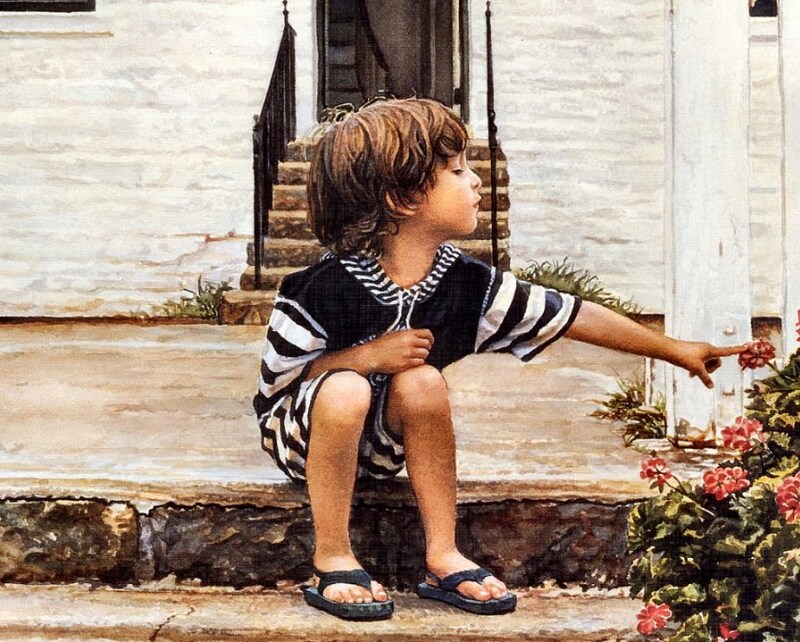 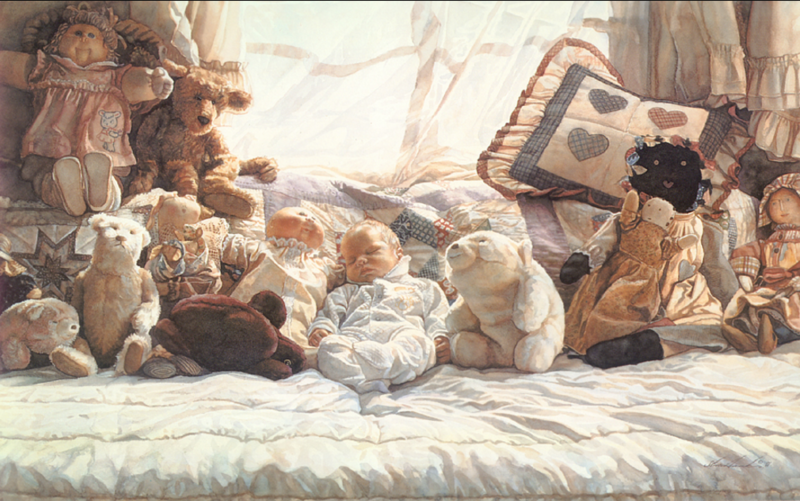 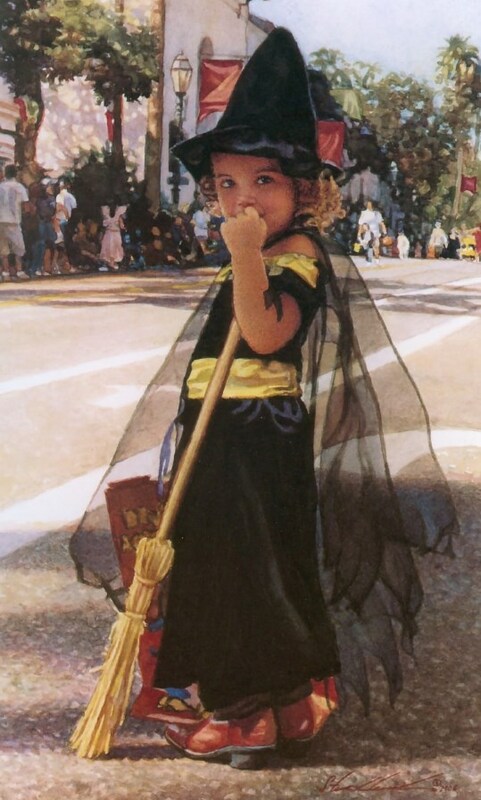 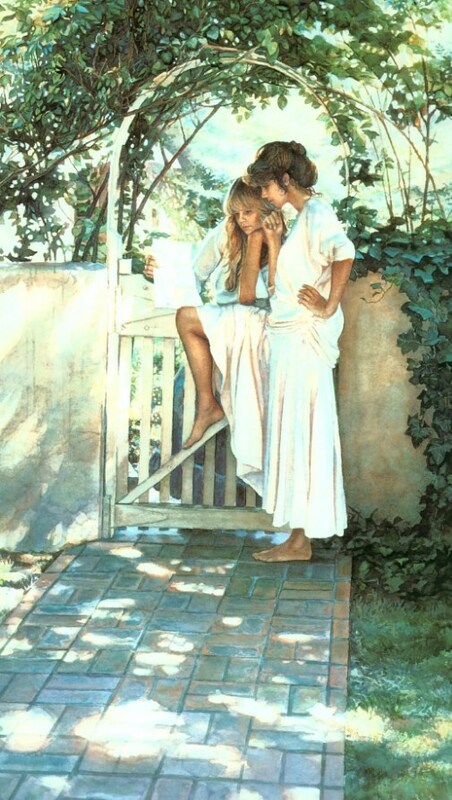 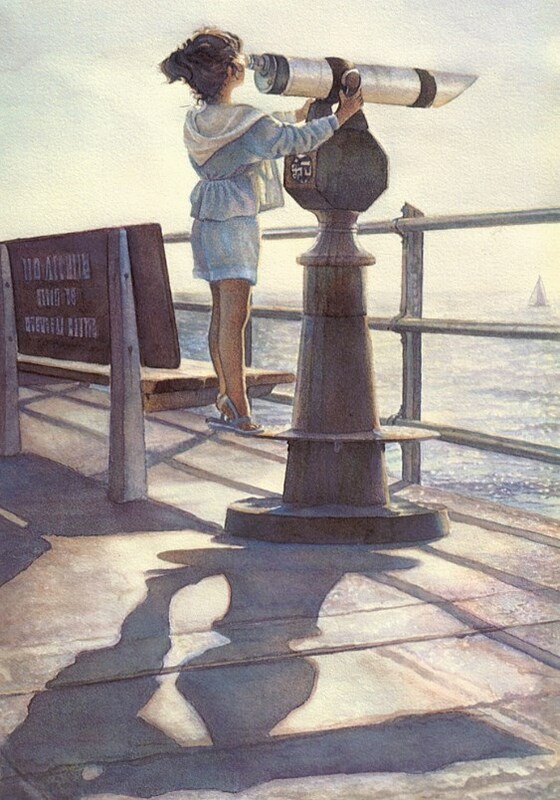 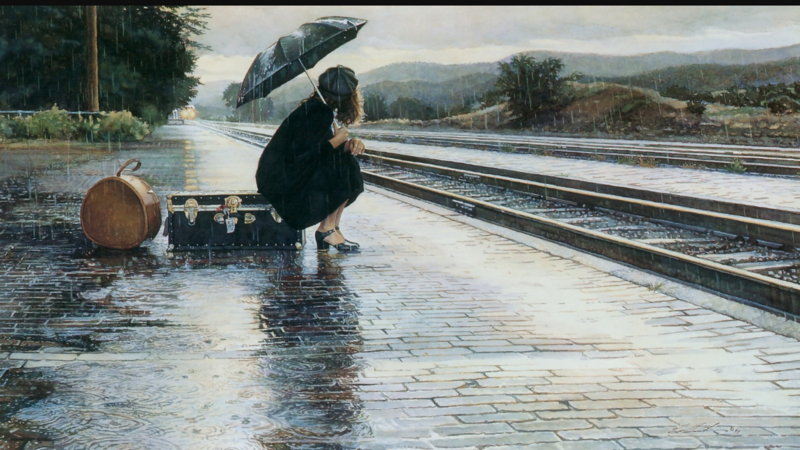 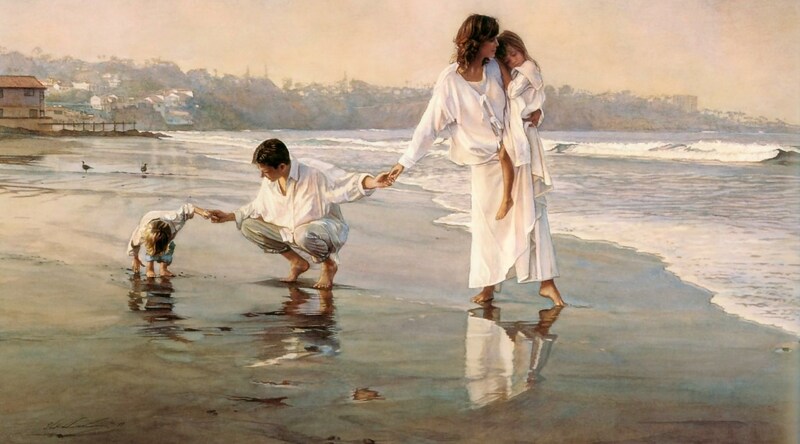 Steve Hanks was born into a military family in San Diego in 1949. 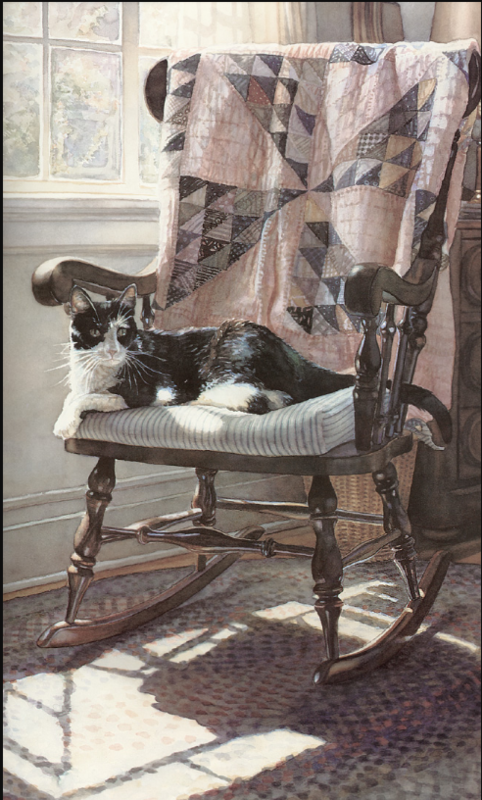 His father was a highly decorated WWII Navy flyer. 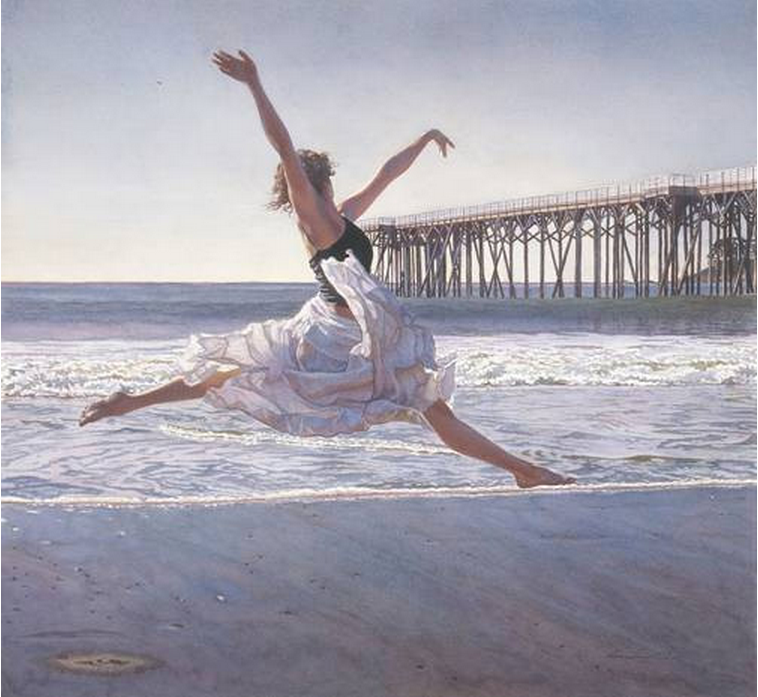 Hanks grew up playing tennis and surfing along the beaches of Southern California. 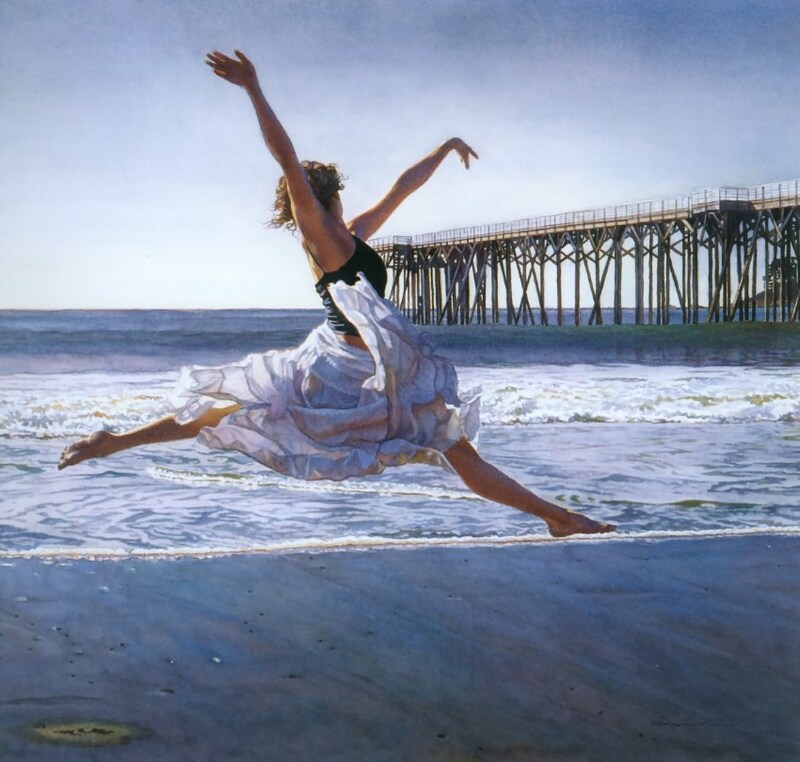 “The ocean made a strong and lasting impression on me. 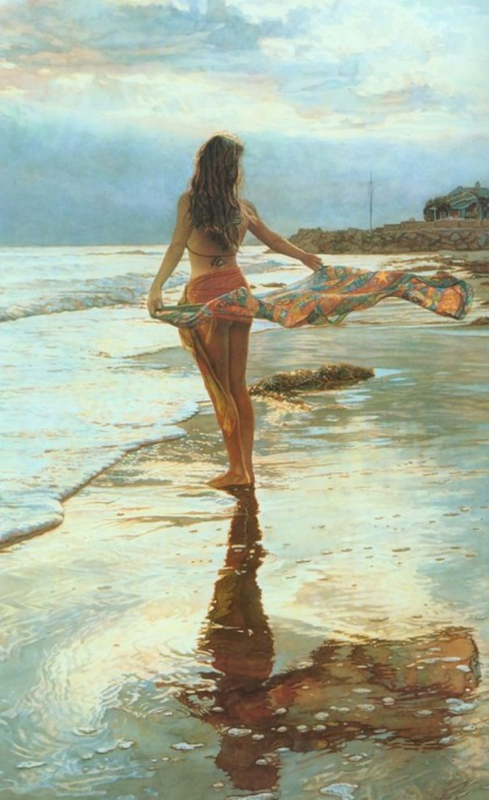 It was good for the soul to be out in the water-surfing, swimming, or simply getting in touch with its mysterious power”. 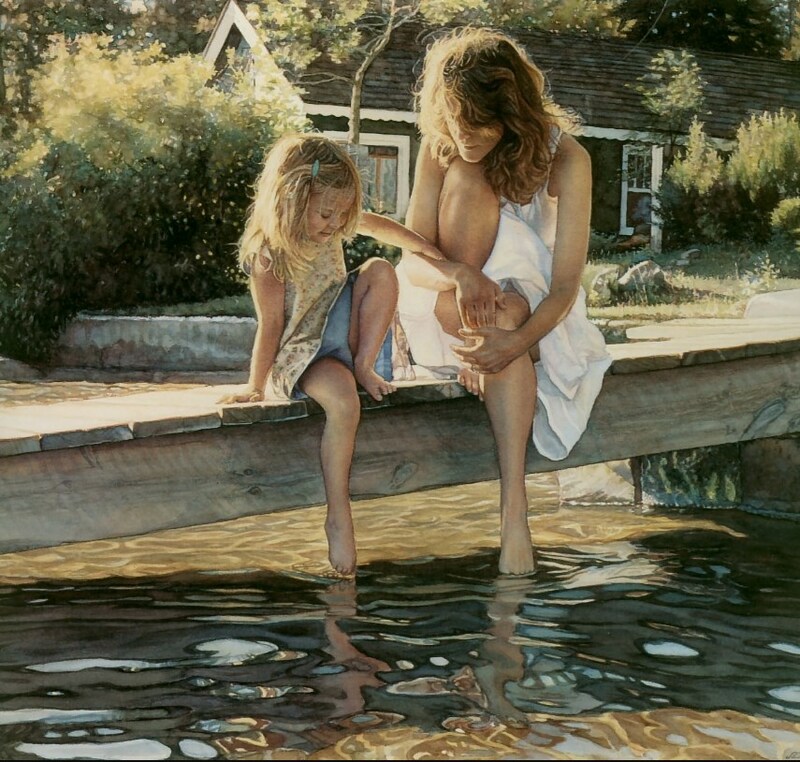 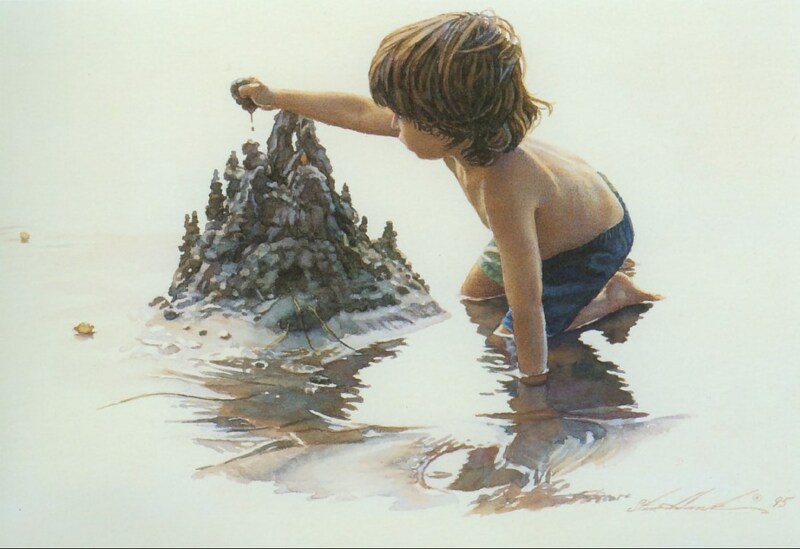 Steve Hanks took a job as a caretaker at a Campfire Girl’s camp near Cuba, New Mexico in 1976. 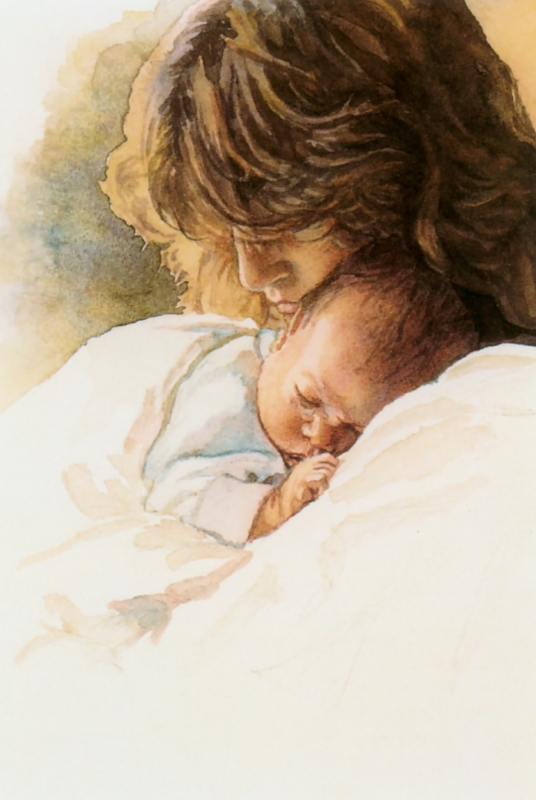 The pay was minimal, but the rent was free, and all during the winter months his time was his own. 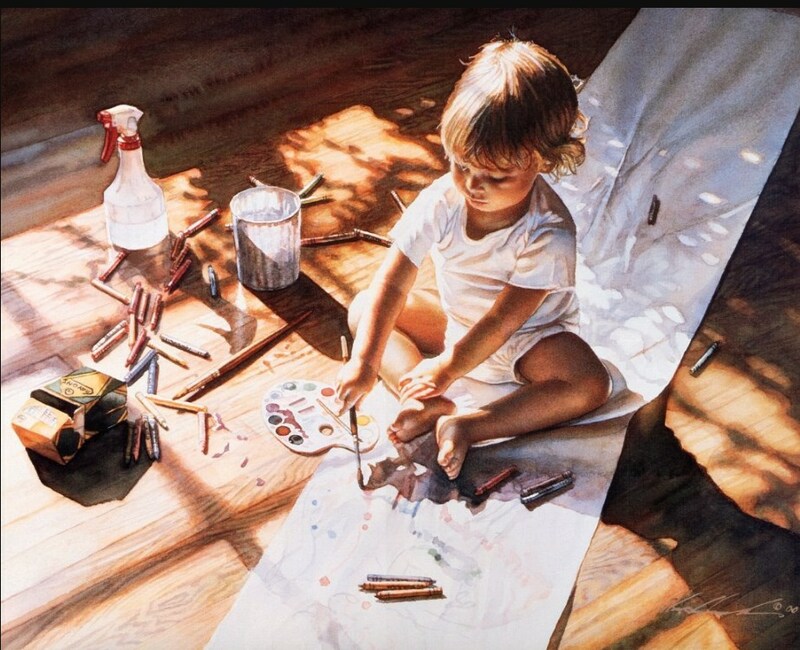 For the next four and a half years Hanks experimented with many media: oils, watercolor, pencil, acrylics. 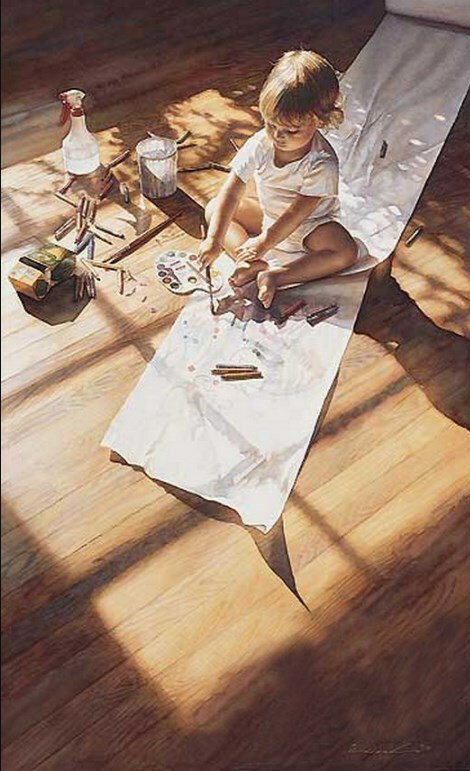 “If I hadn’t spent so much time perfecting my drawing skills”, he comments, “I would not be the painter I am today”. 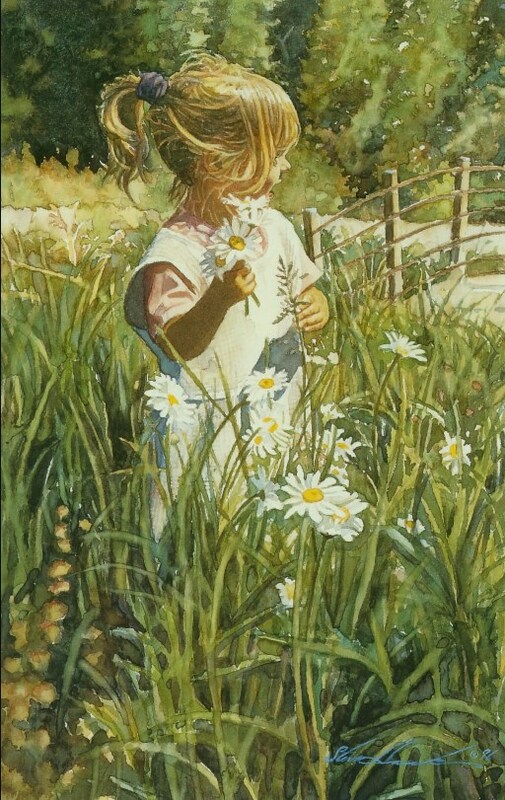 His first romantic piece, “Daisies and Lace”, was a harbinger of his developing style-it featured a lacy dress and a serene sunlit setting. 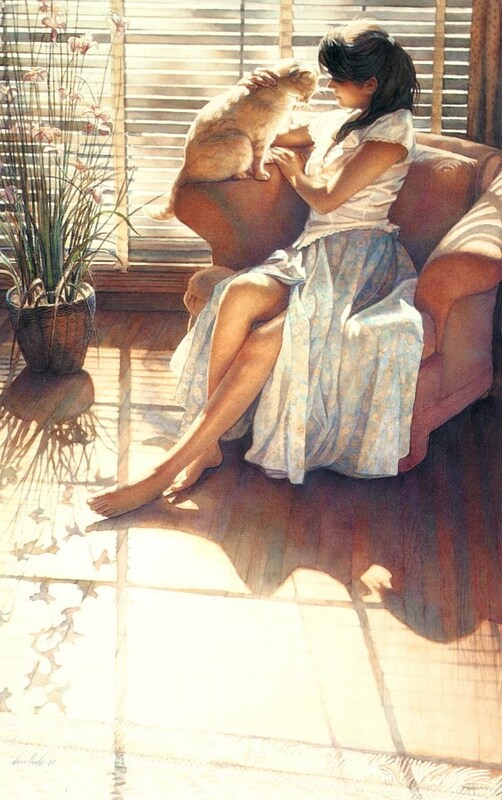 “Sunlight has become one of my favorite subjects. 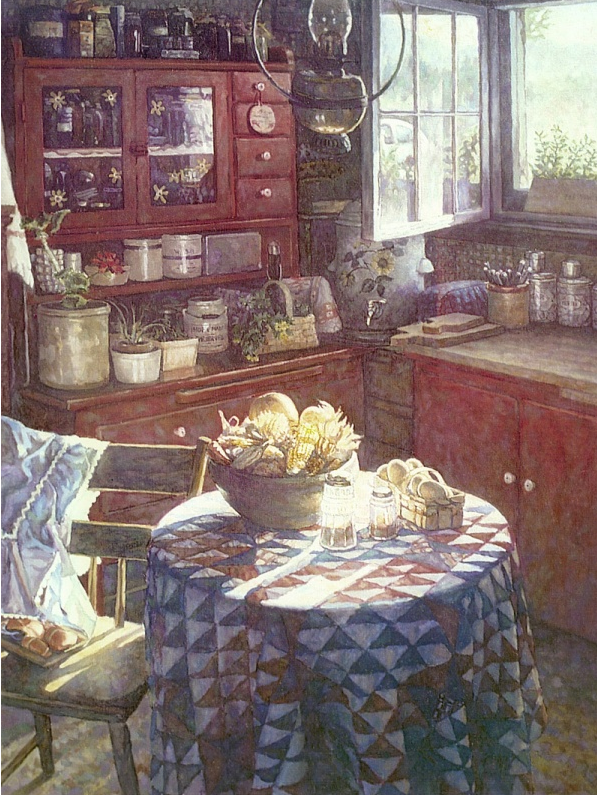 I’m fascinated by how it filters through things, how it floods a whole room with color. 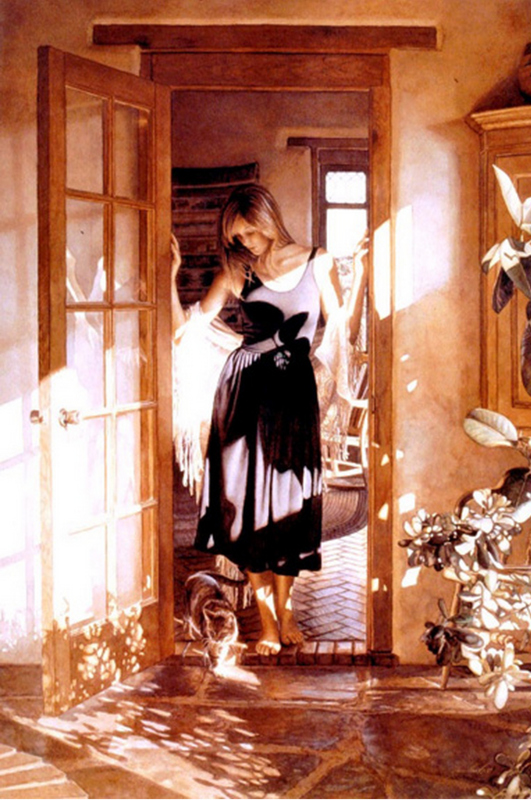 Often my paintings are really more about sunlight than anything else”. 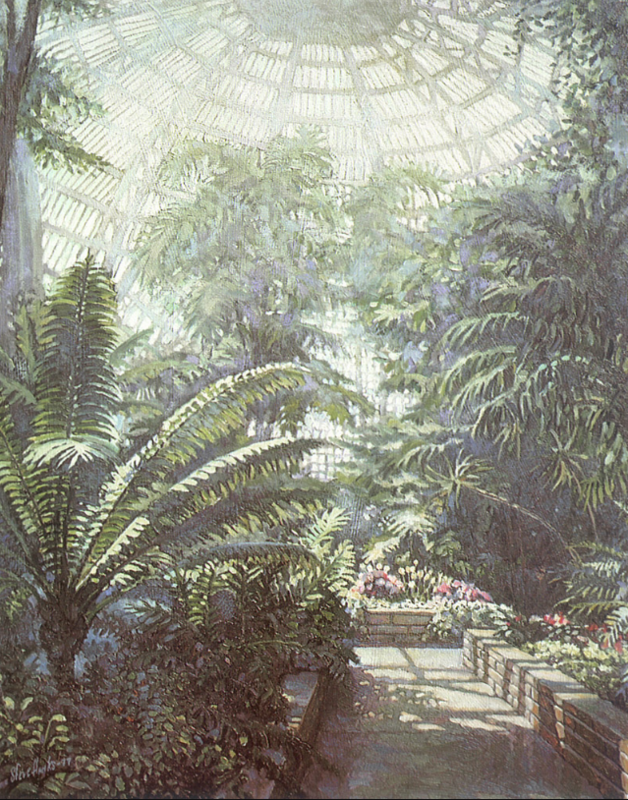 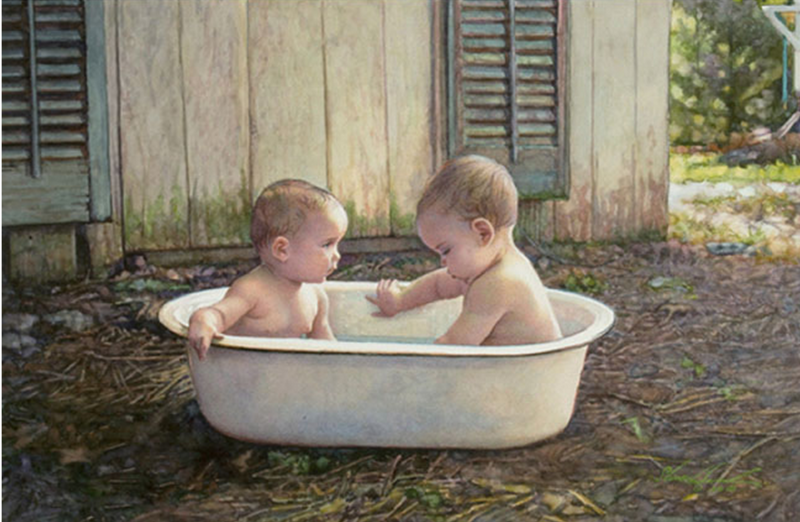 His marriage to Laura and the arrival of three children provided new inspiration for the artist. Many lovingly rendered domestic scenes were added to the portfolio during those years. 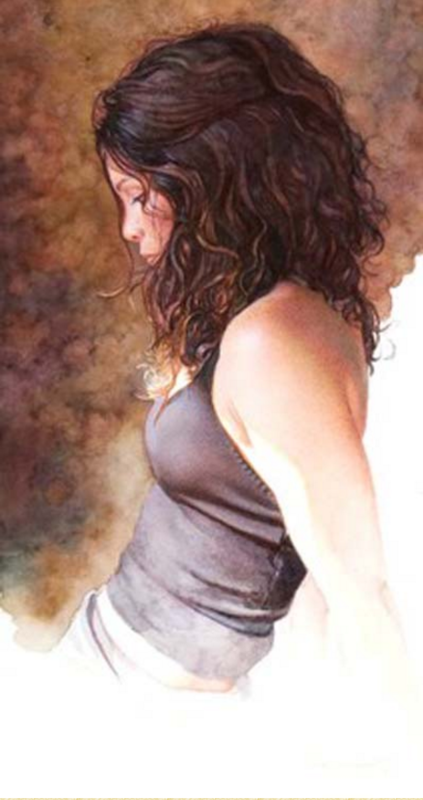 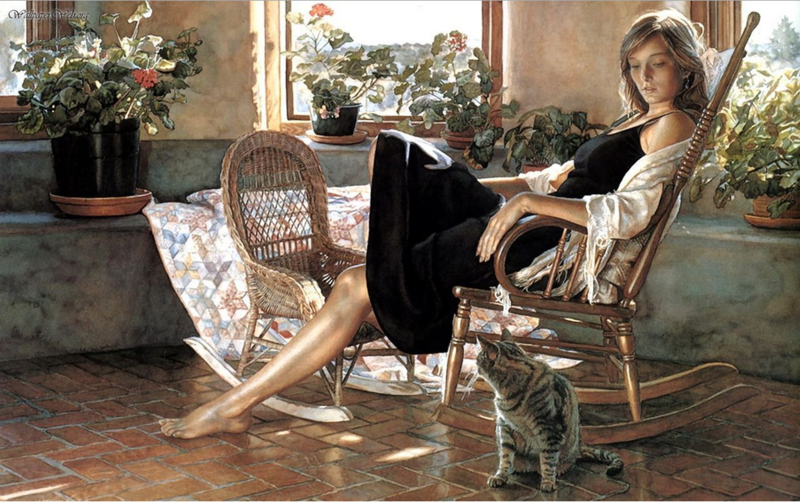 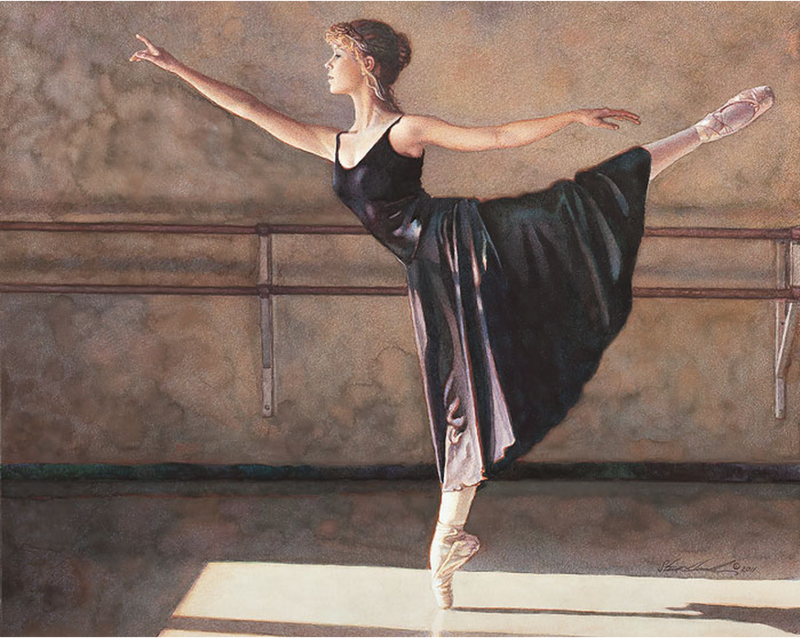 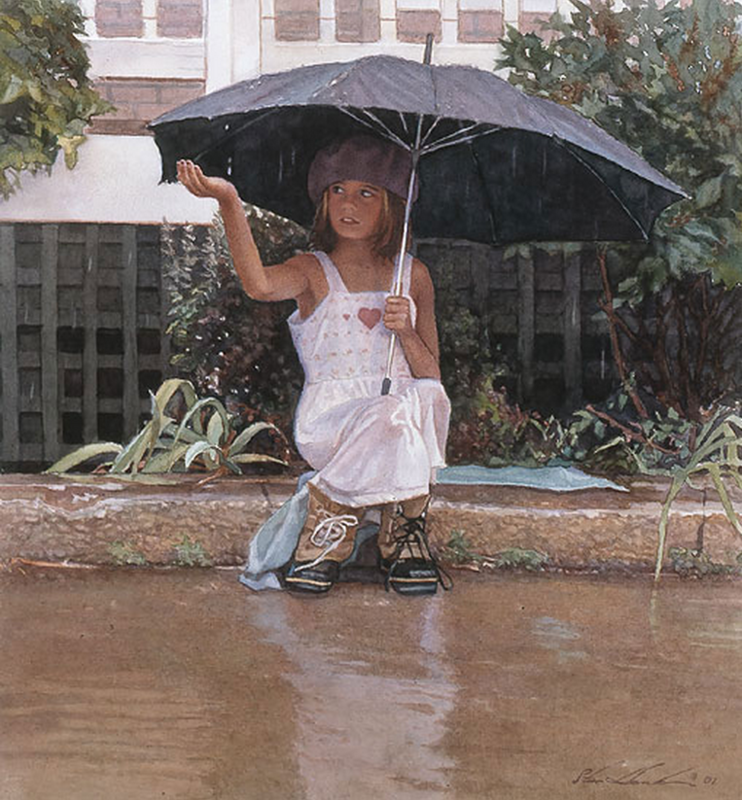 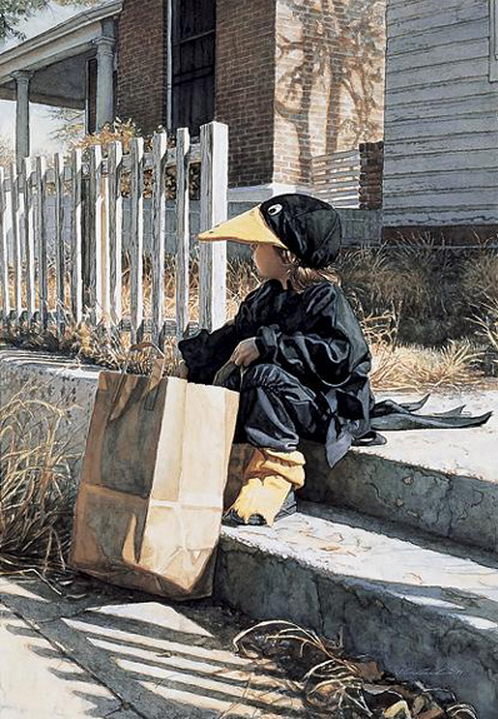 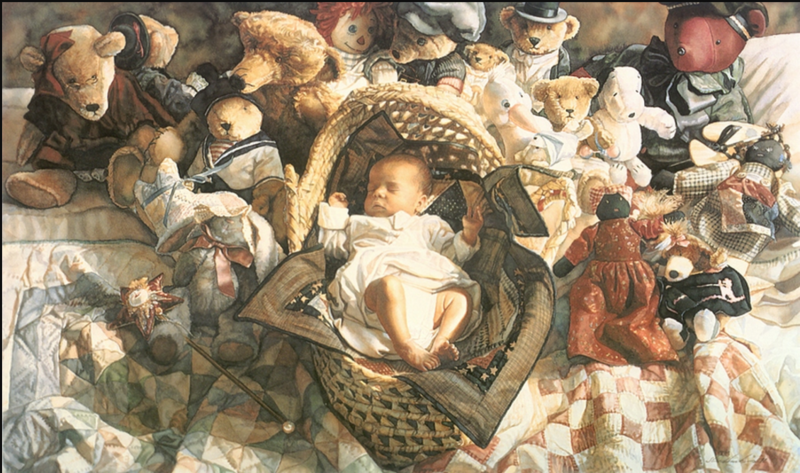 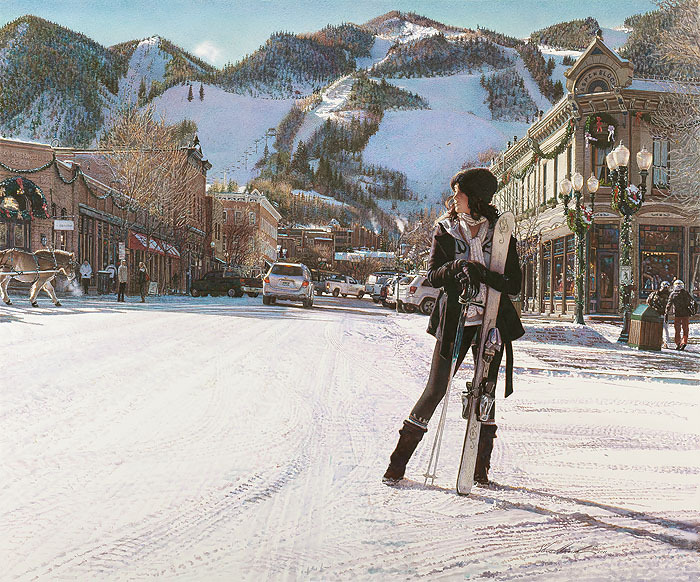 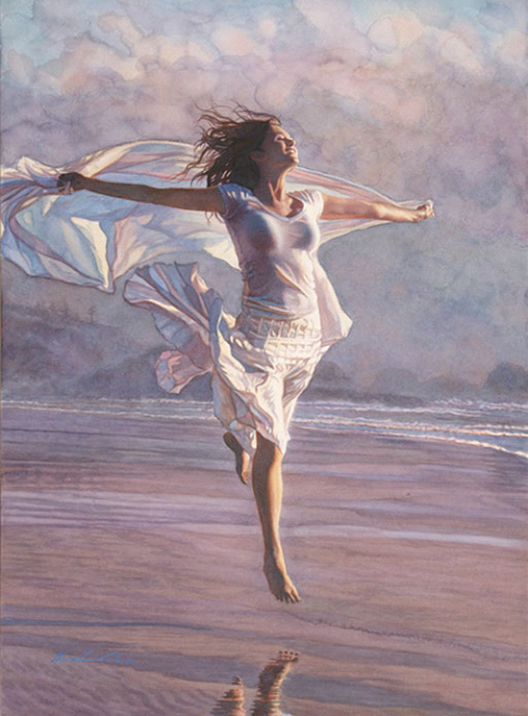 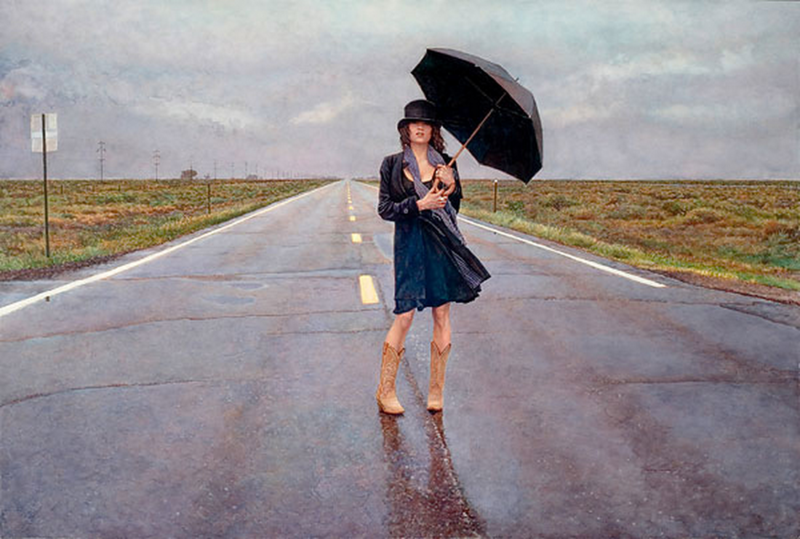 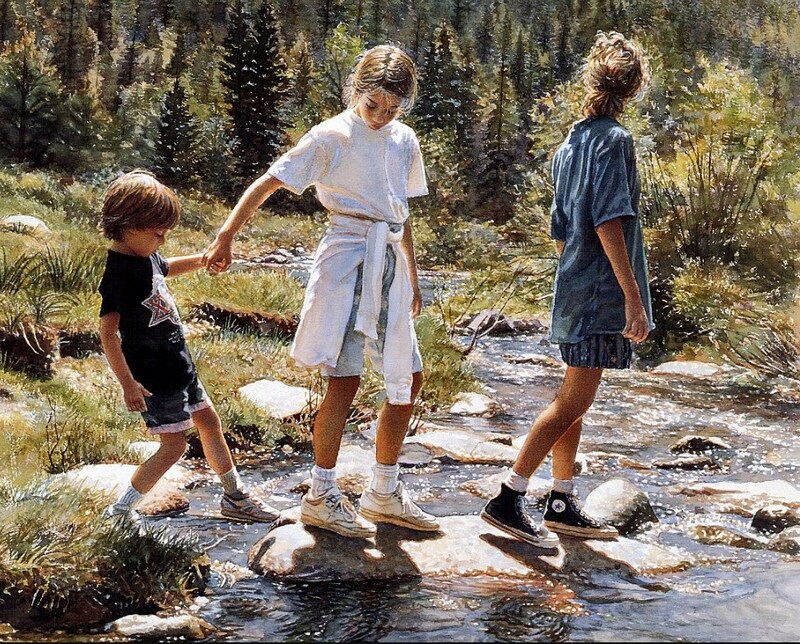 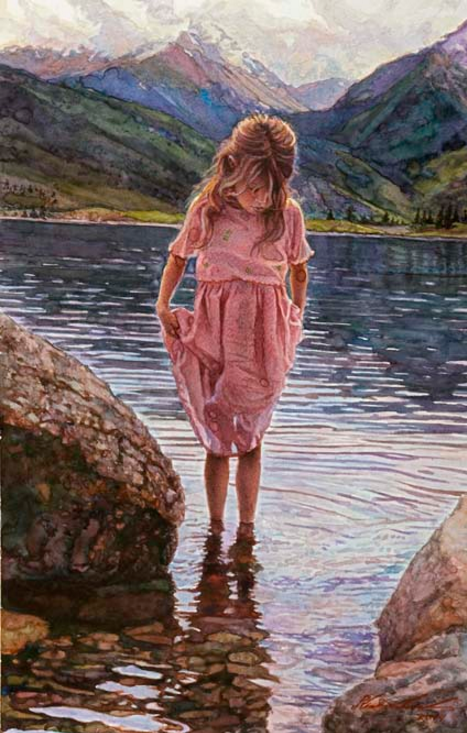 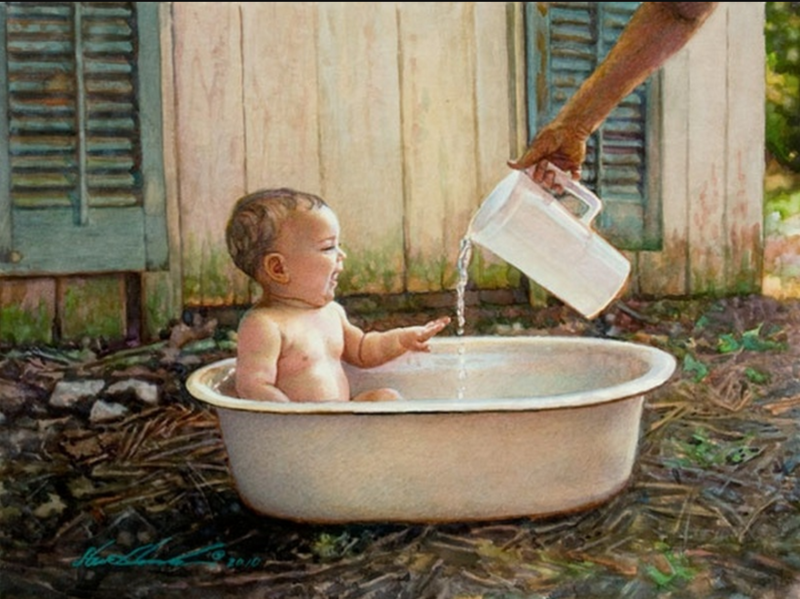 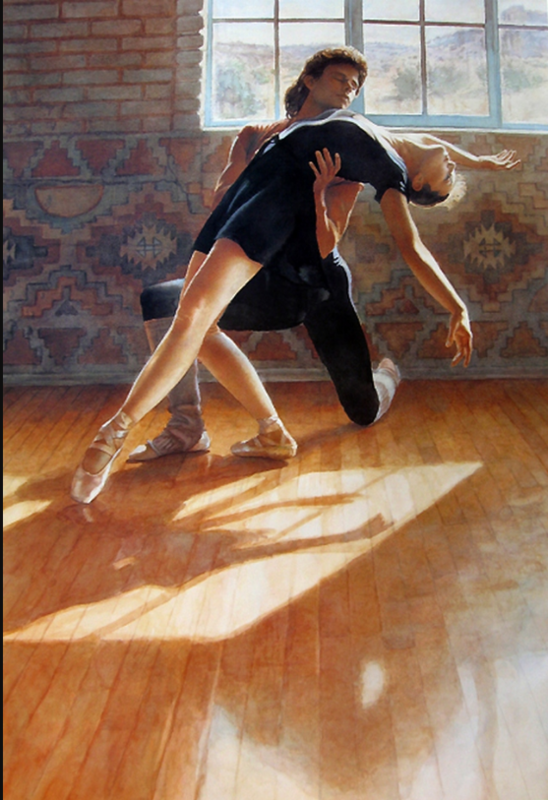 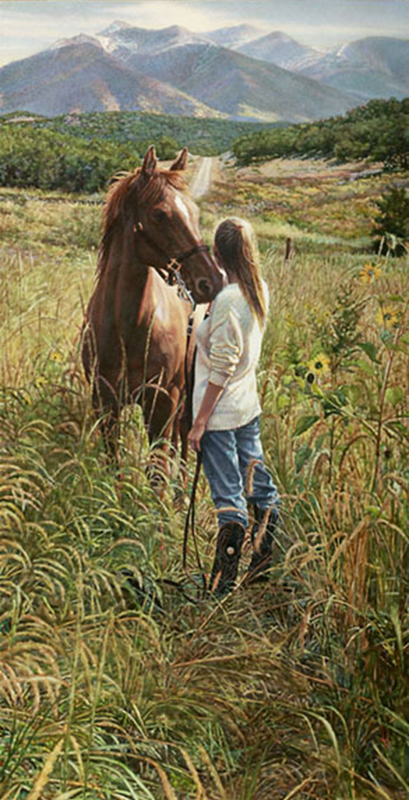 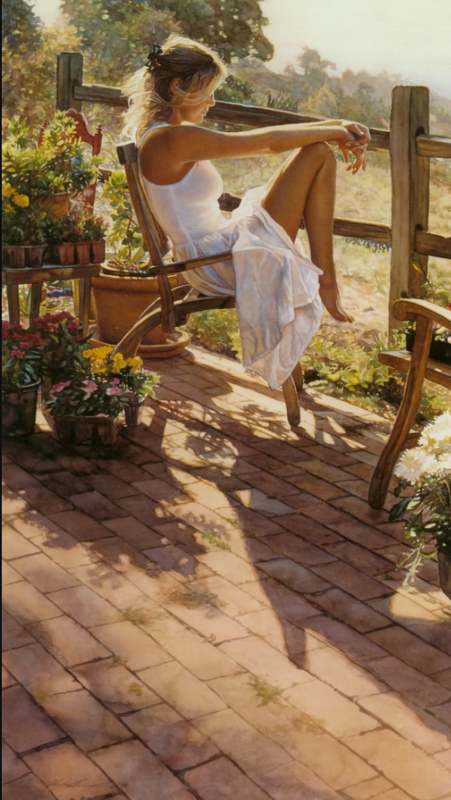 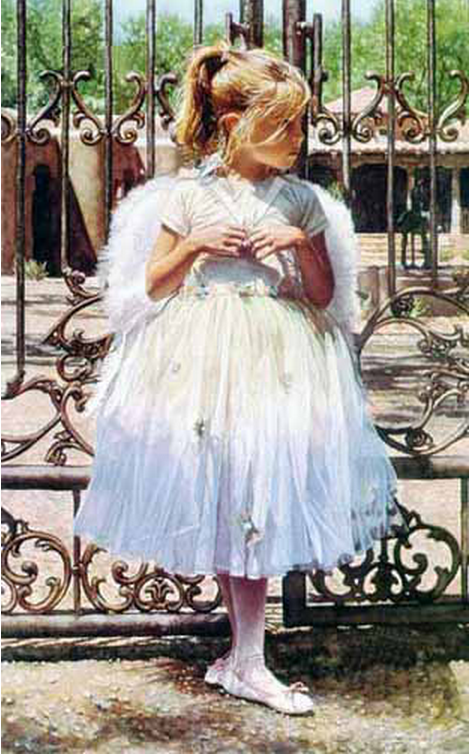 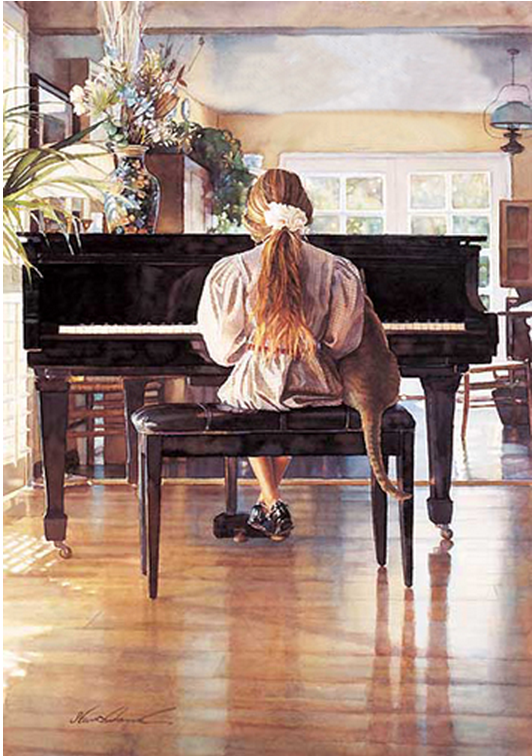 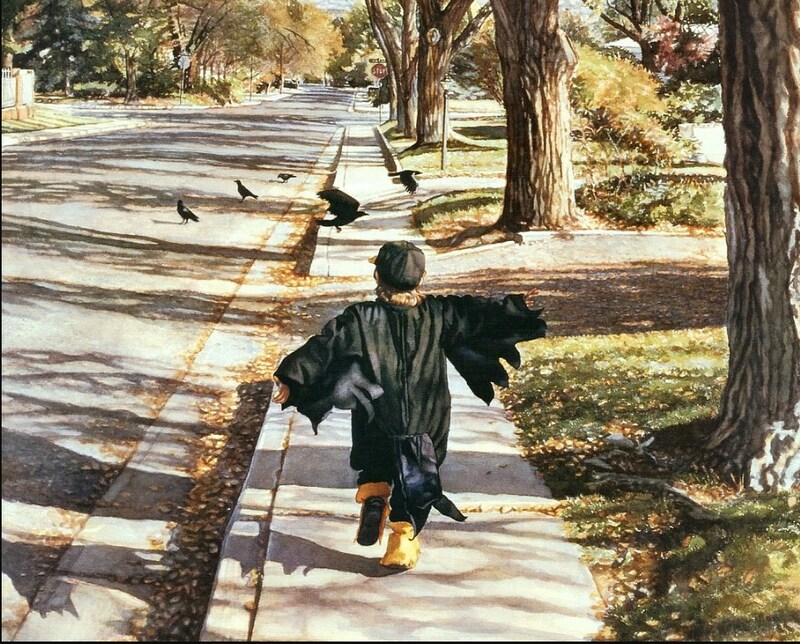 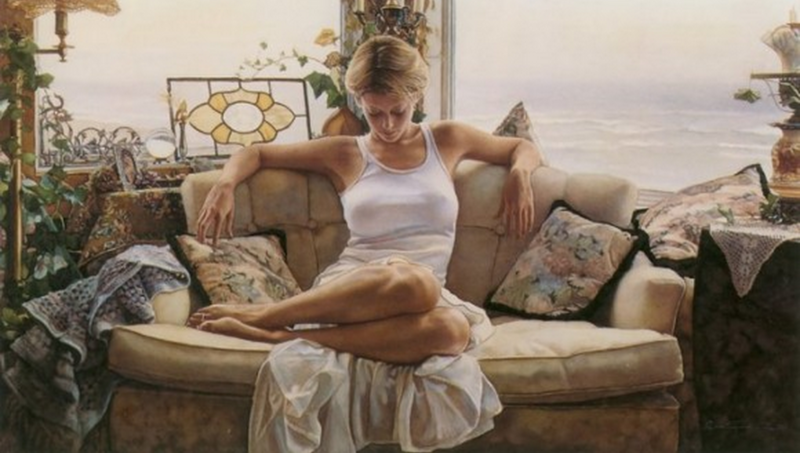 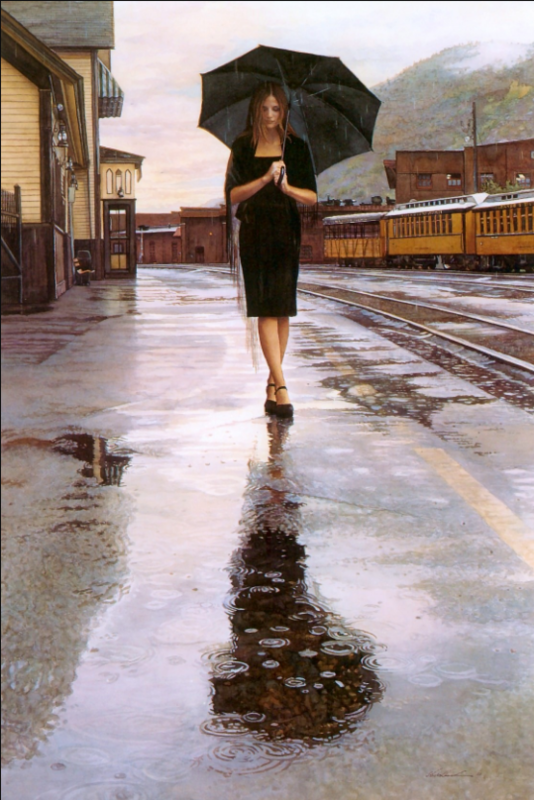 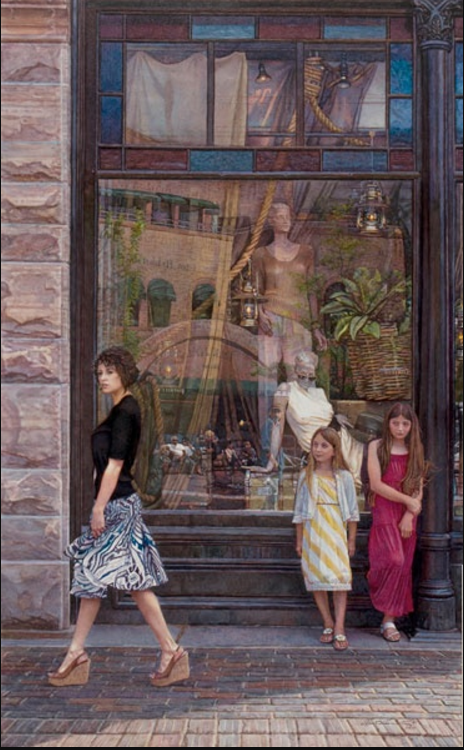 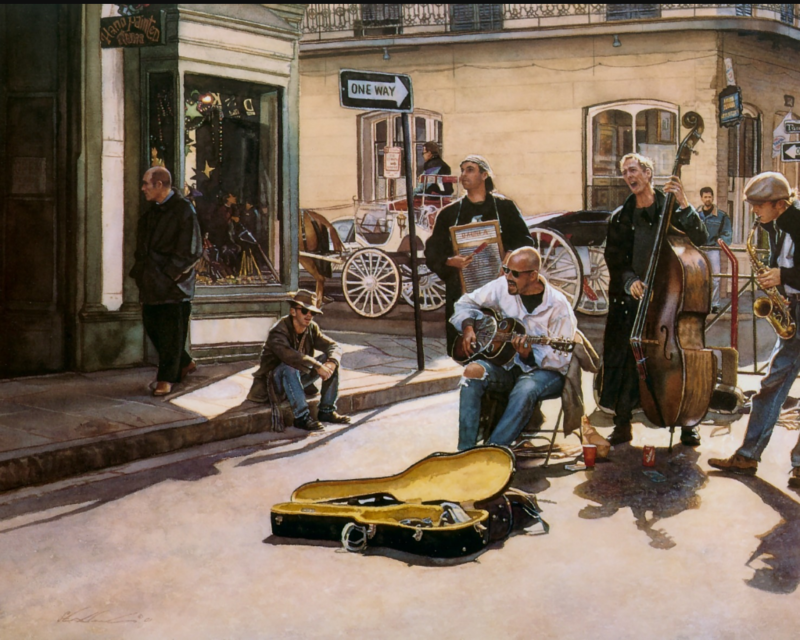 Jurors, galleries and collectors have long recognized the stature of Steve Hanks’ achievements. 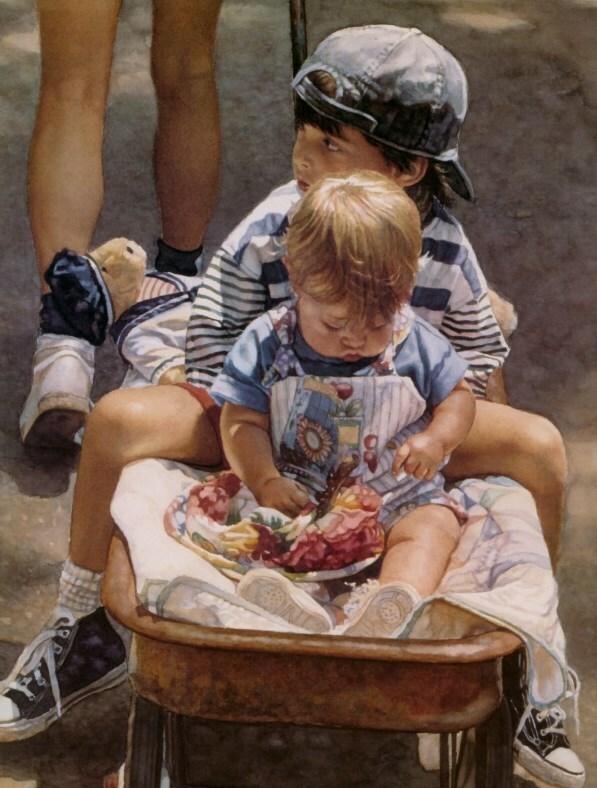 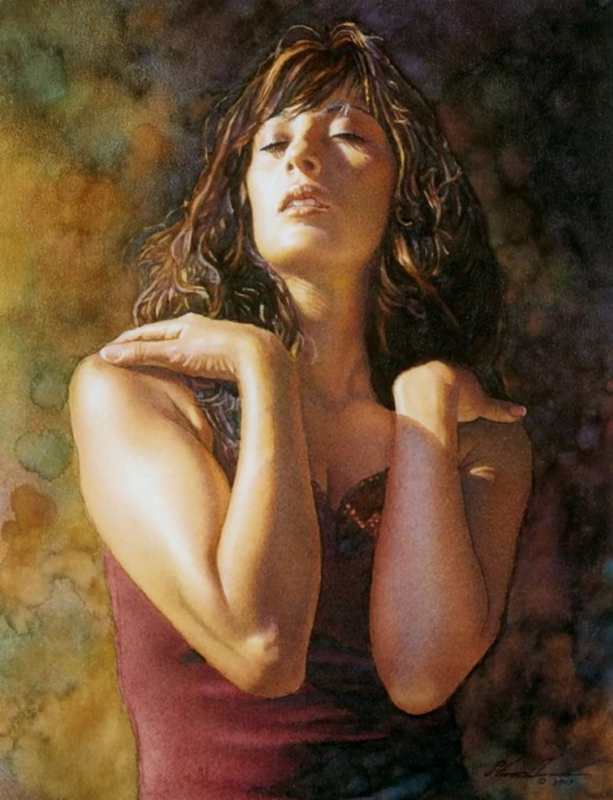 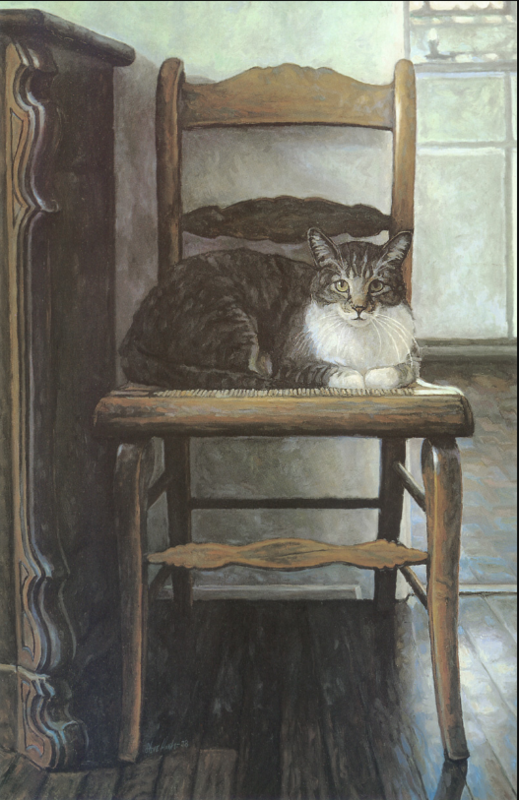 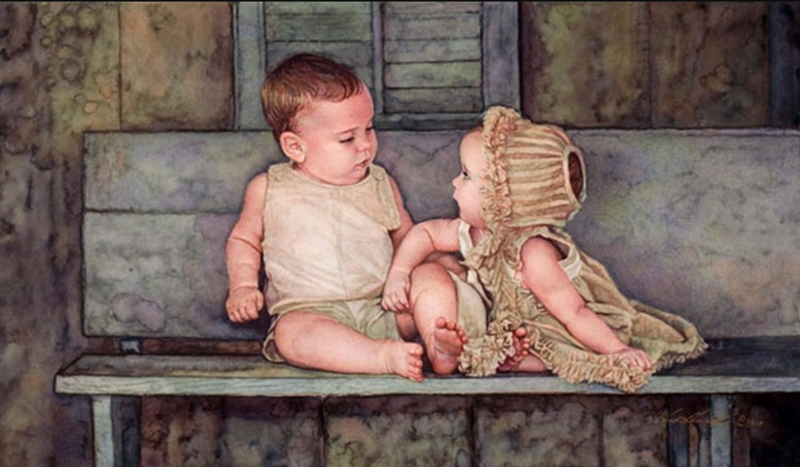 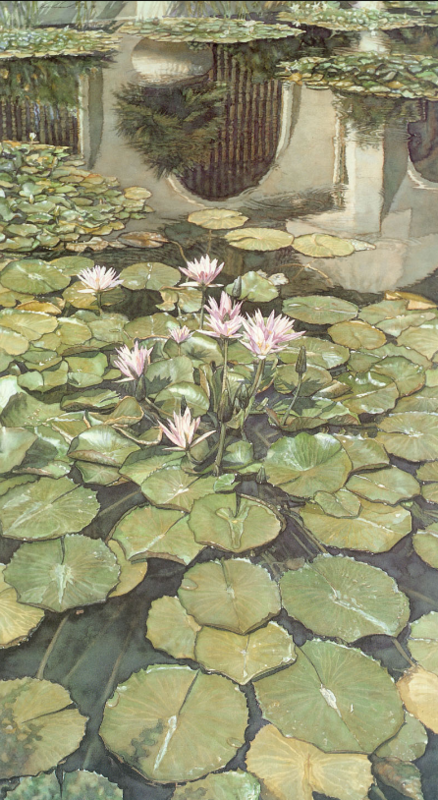 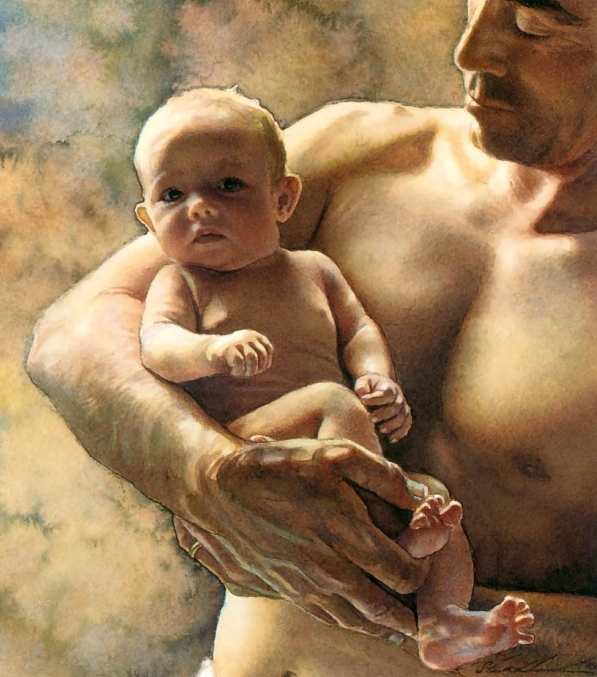 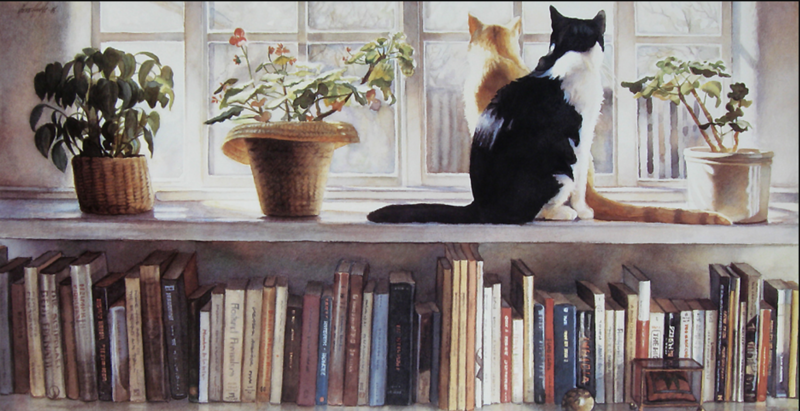 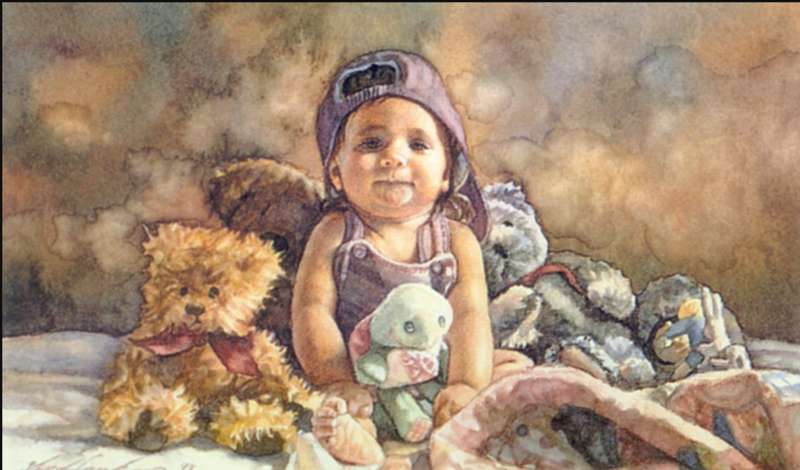 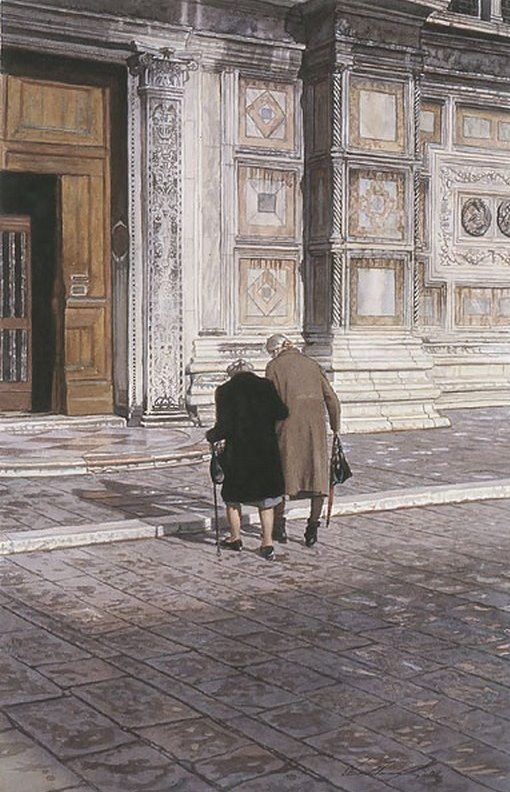 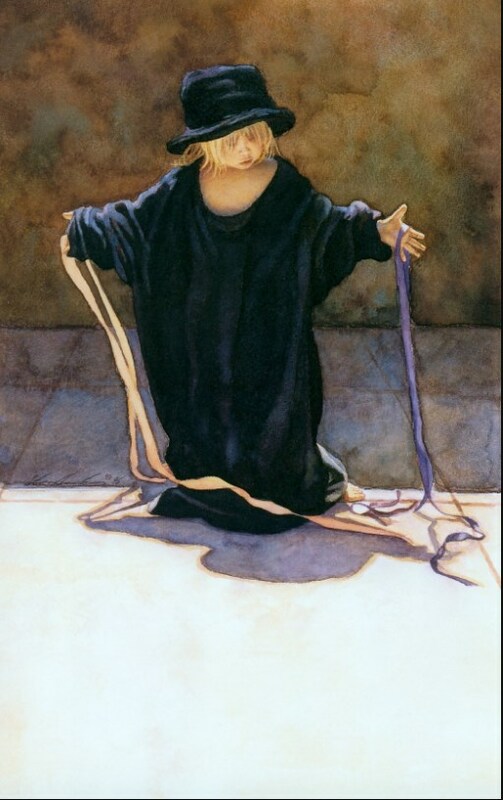 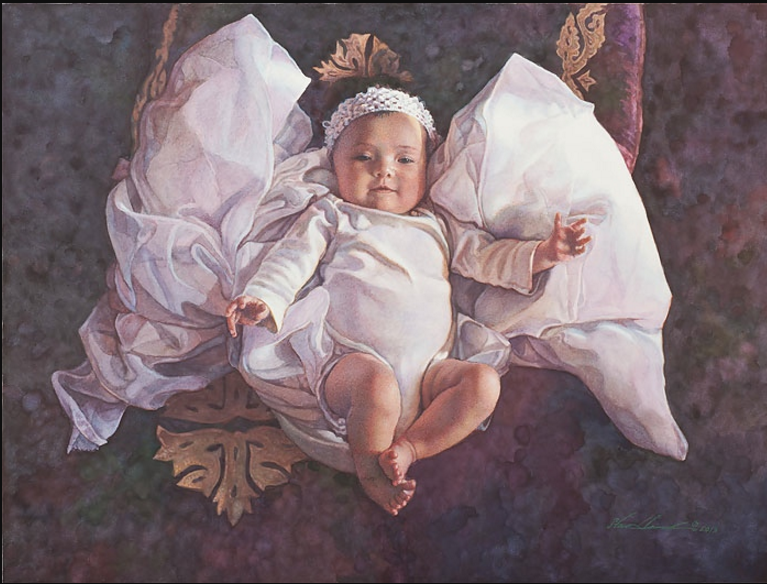 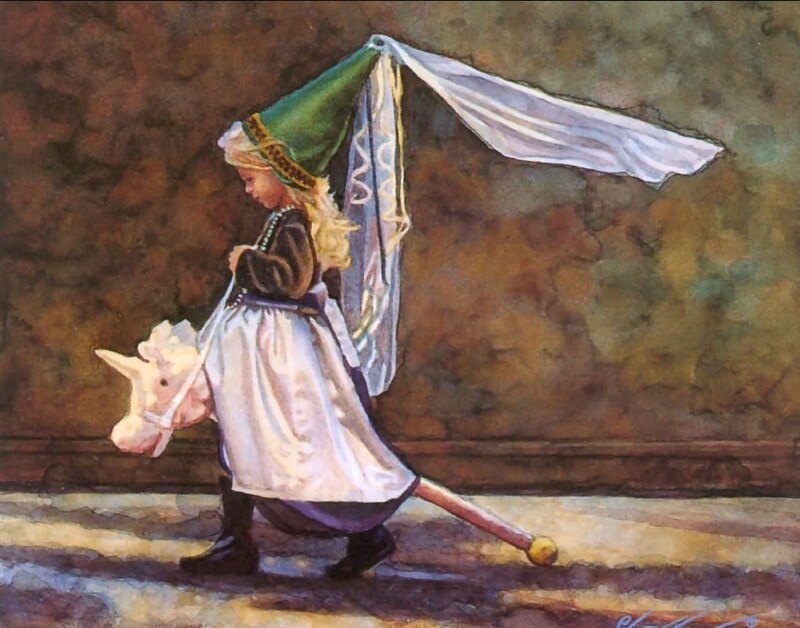 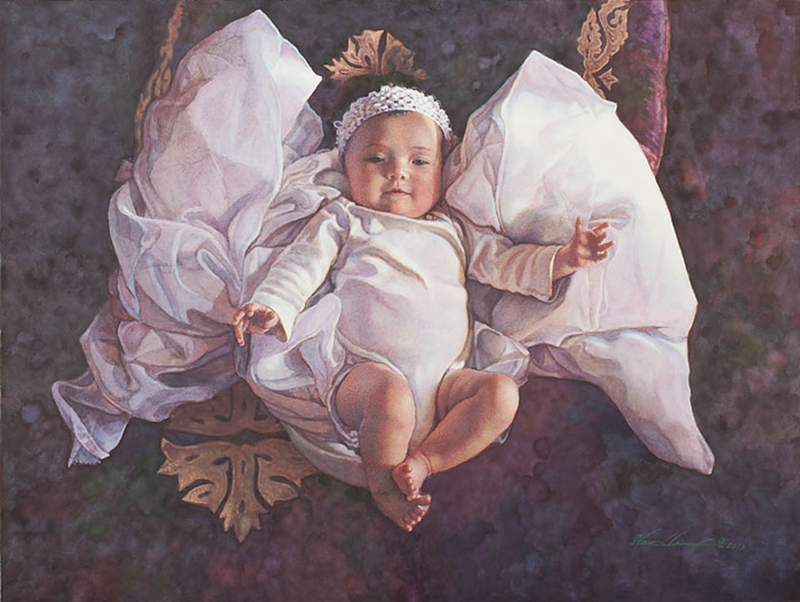 He received the National Watercolor Society Merit Award and the National Academy of Western Art Gold Medal, in addition to consistently appearing in the list of top ten American artists compiled by U.S. Art Magazine. 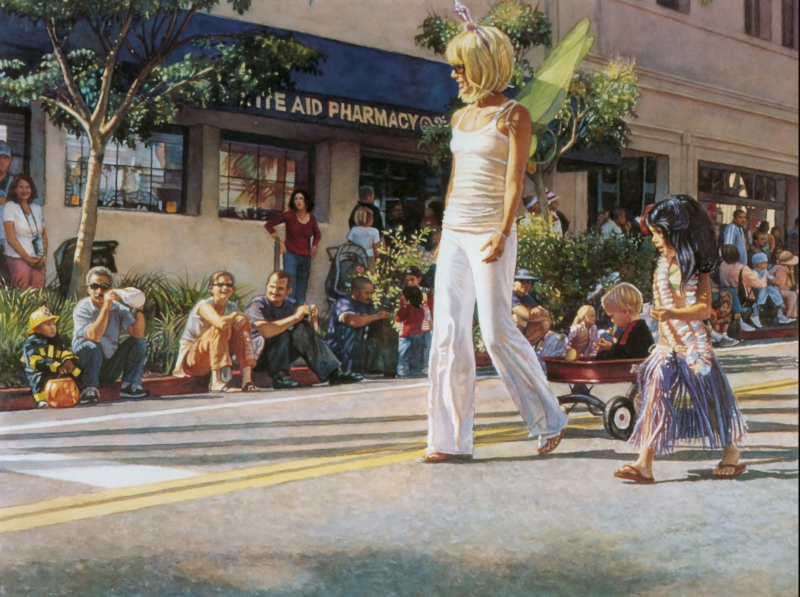 Art for the Parks has honored his work with many awards since 1989. 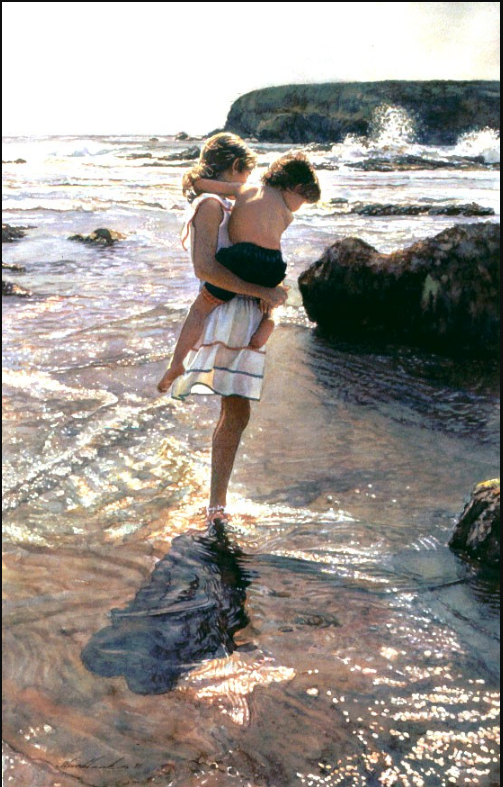 “I’ve tried to be responsible and put positive images out into the world,” says Hanks. 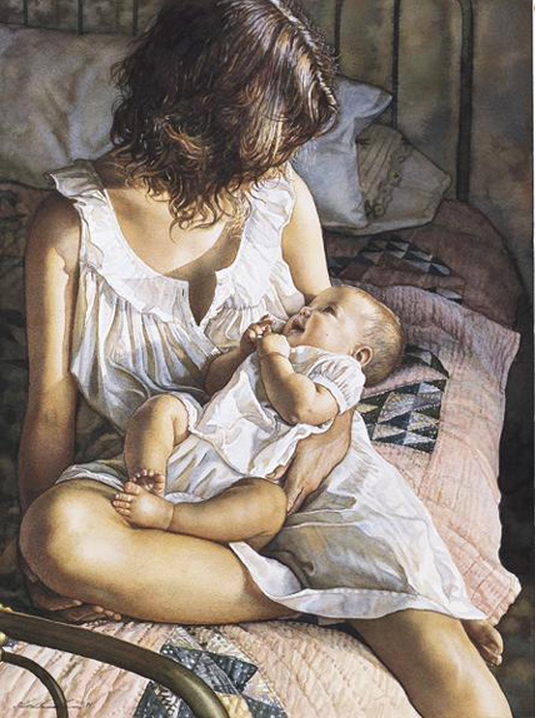 “I hope that my work brings comfort, pleasure and insight into people’s lives”.